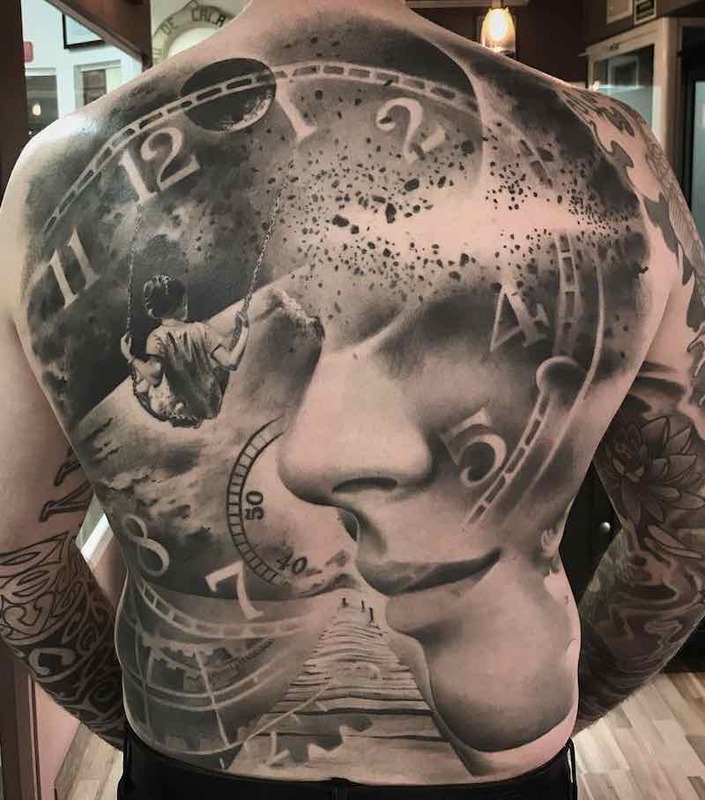 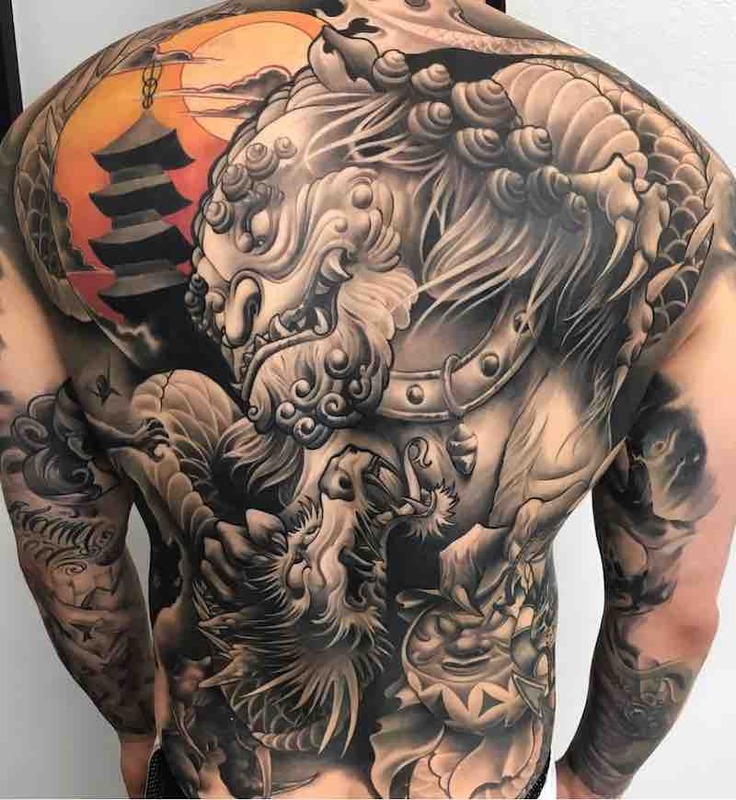 The back is the largest area on the body that can get tattooed, they are perfect for a design in mind that you want very big or something with a lot of detail, although not all back tattoos are full pieces, as some choose to get one or more small tattoo on their back, this way there is plenty more room for future tattoos. 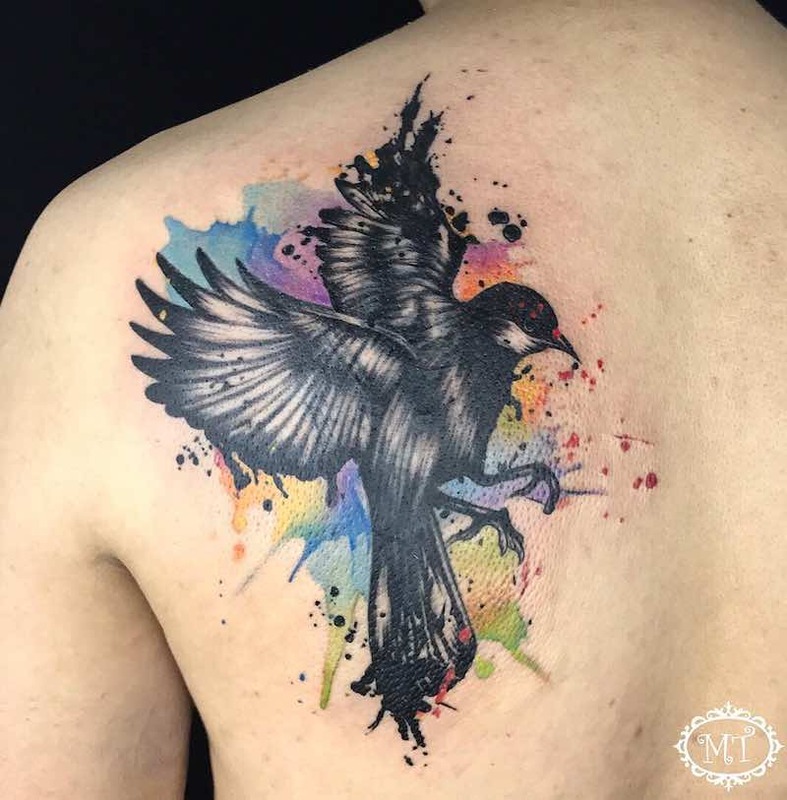 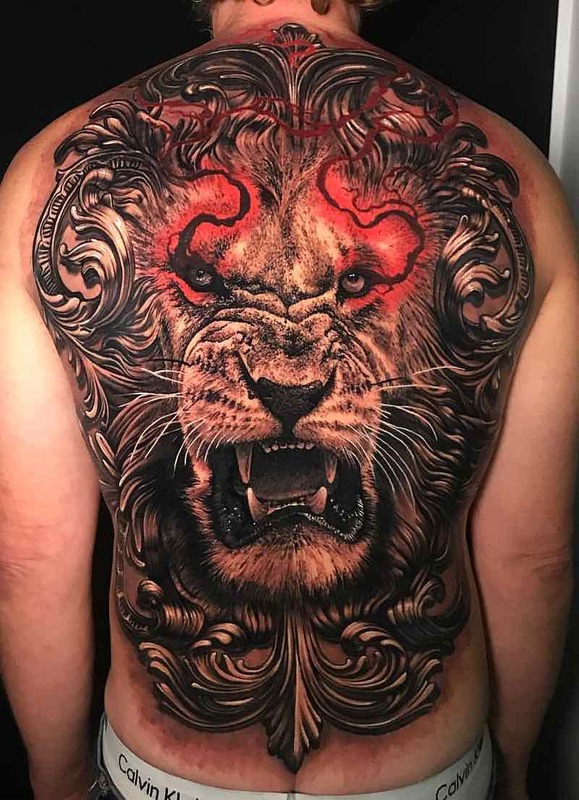 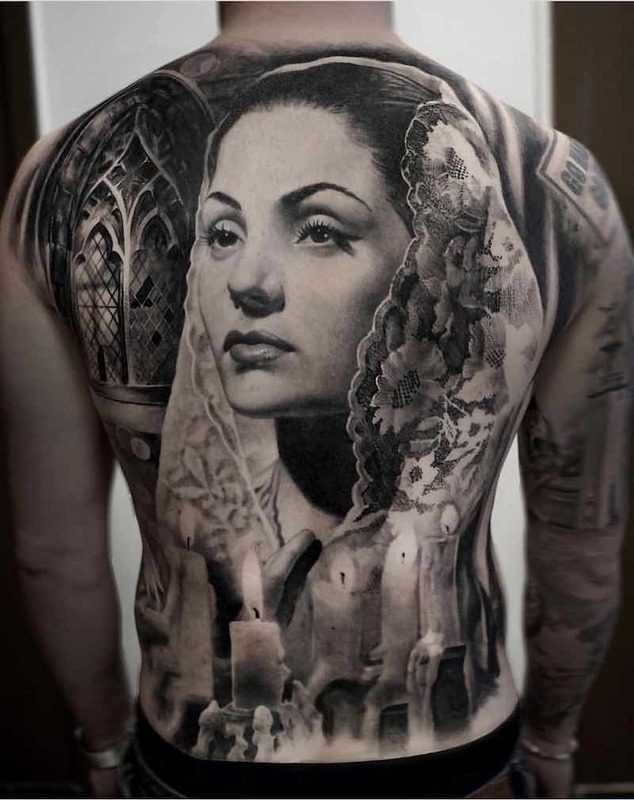 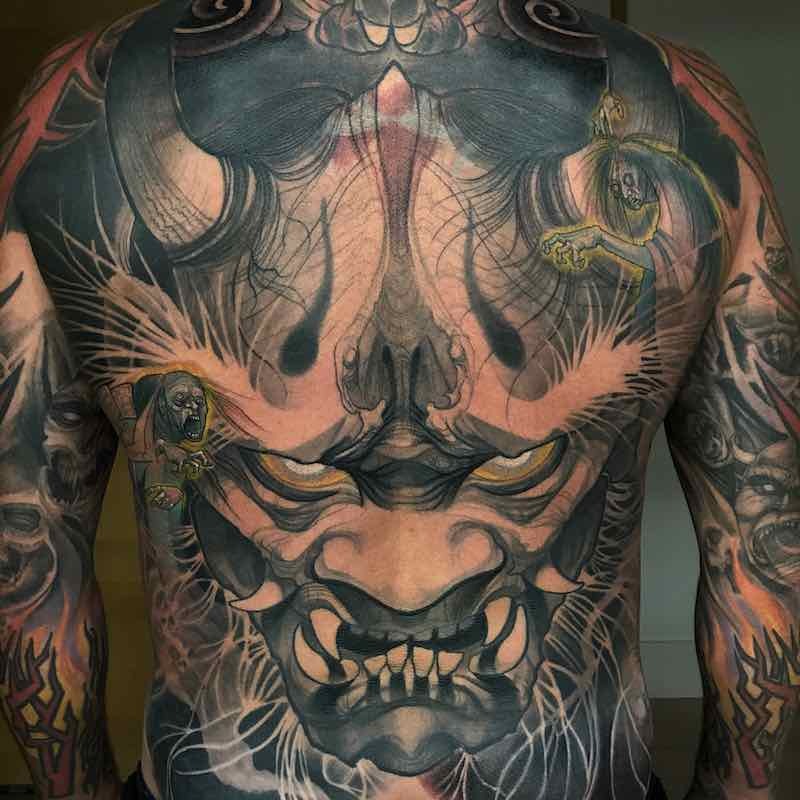 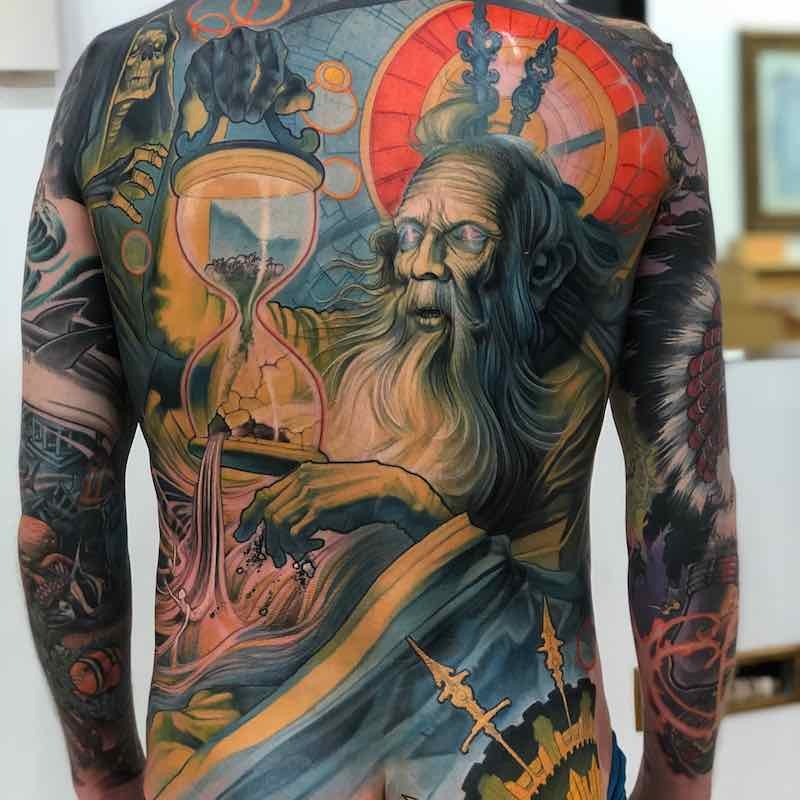 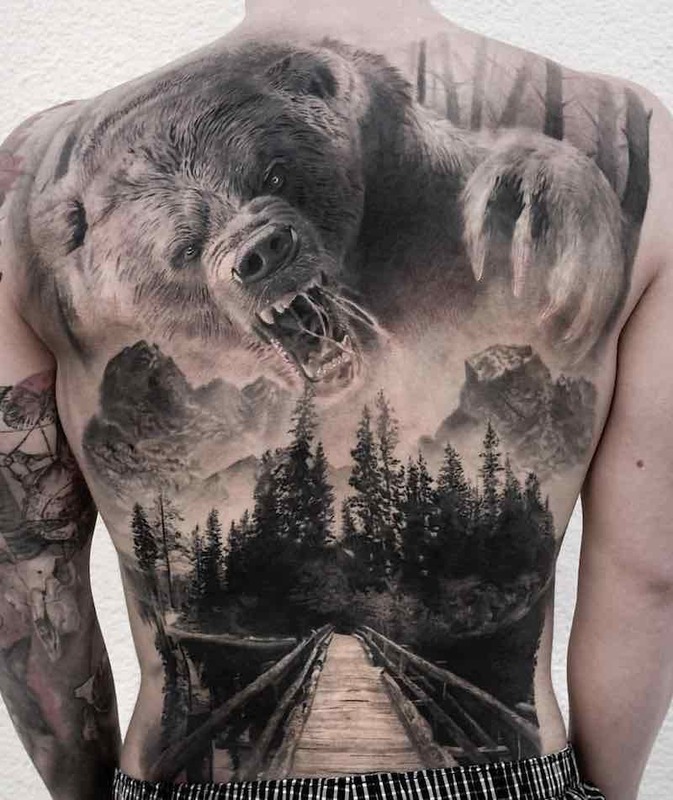 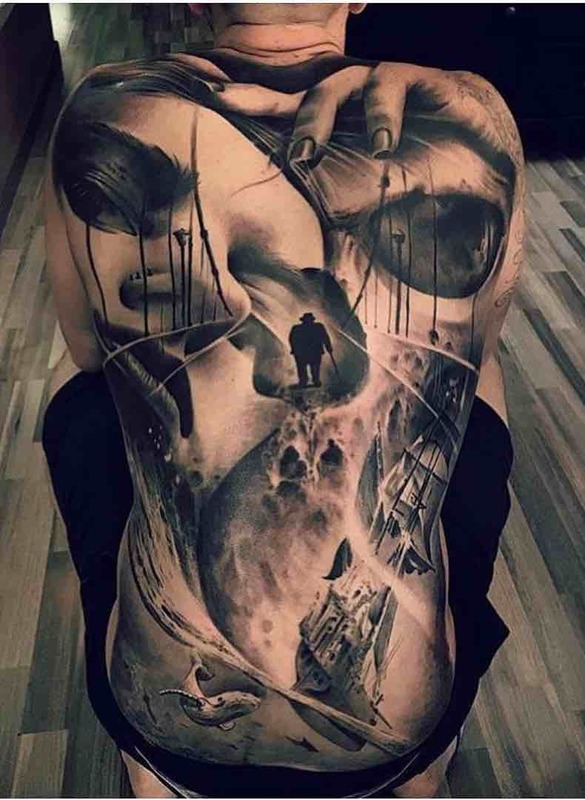 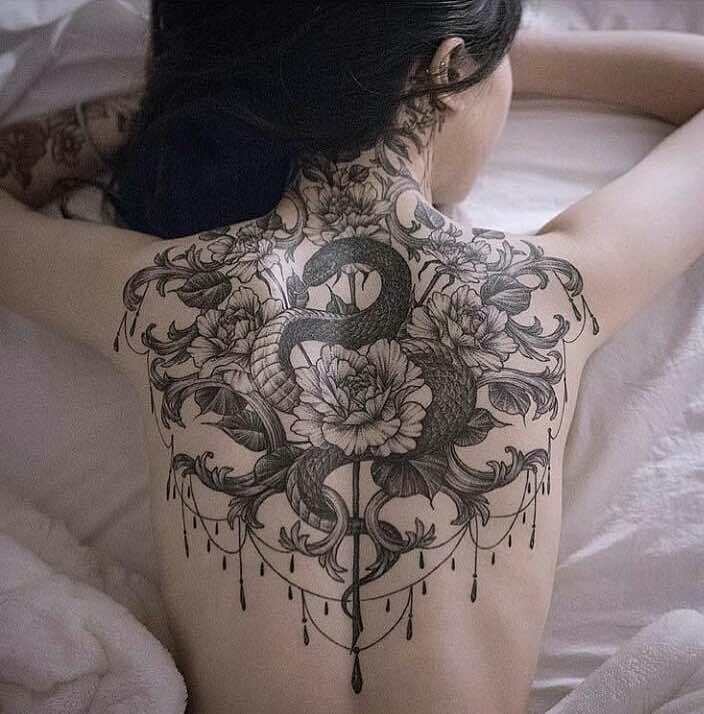 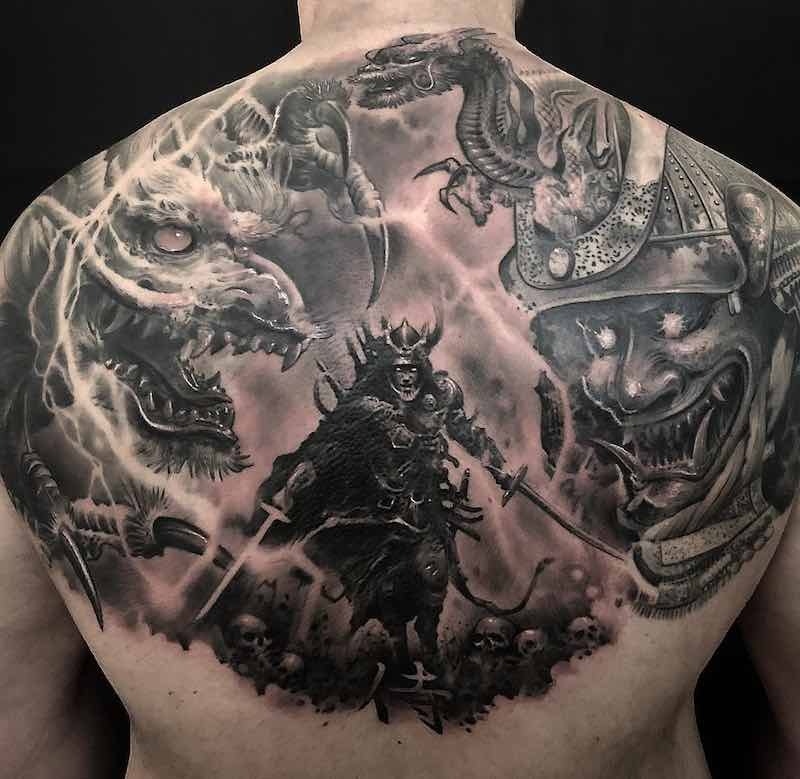 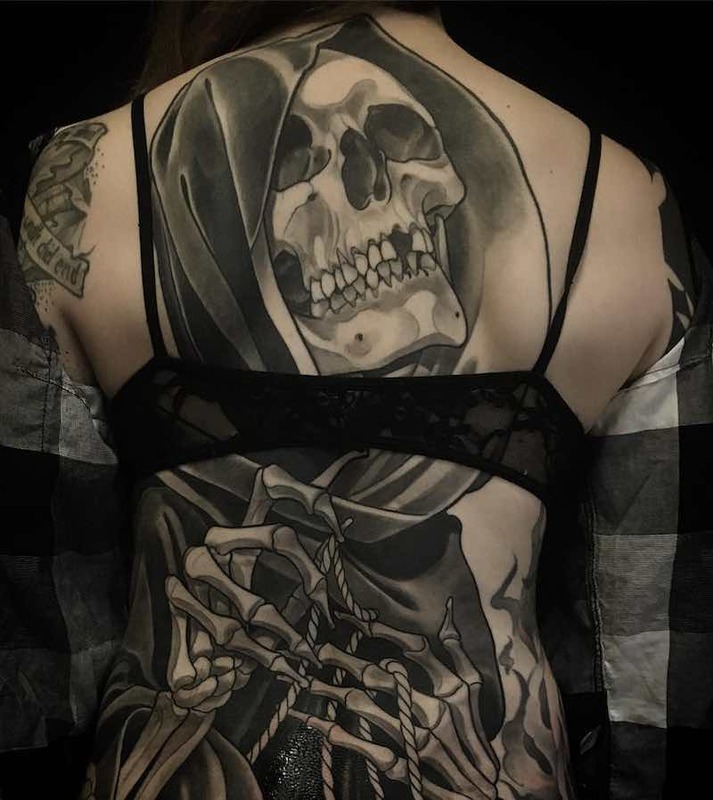 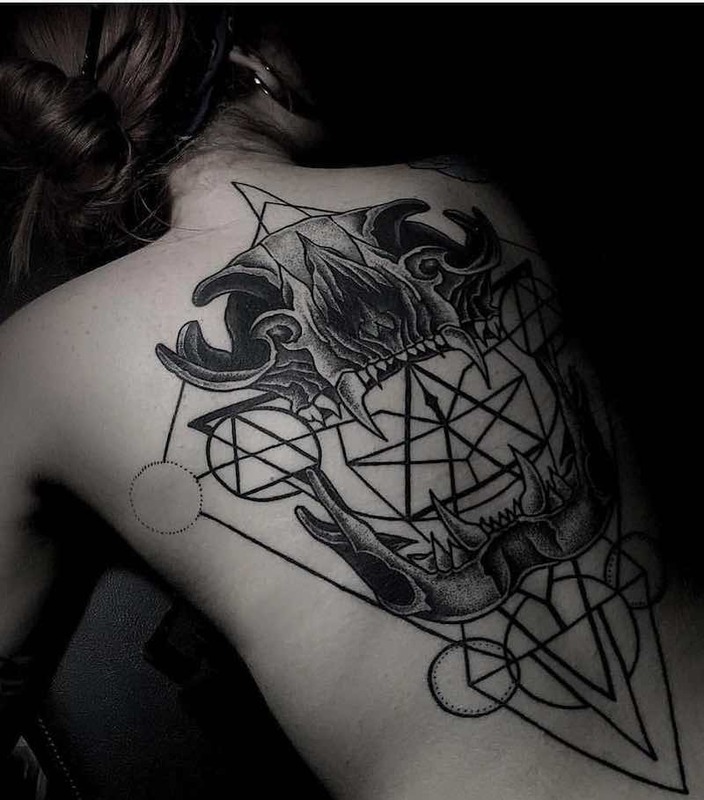 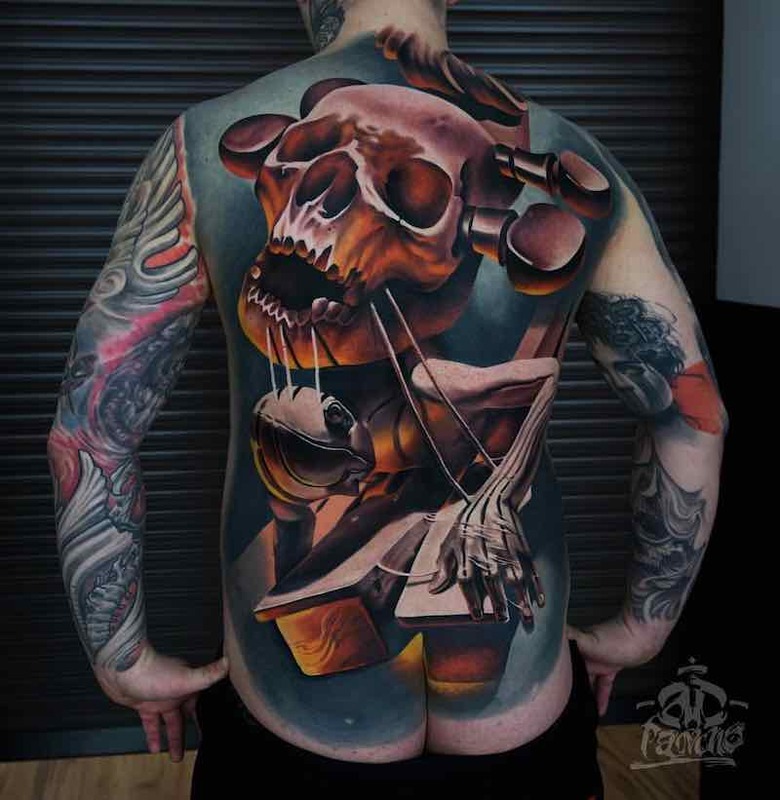 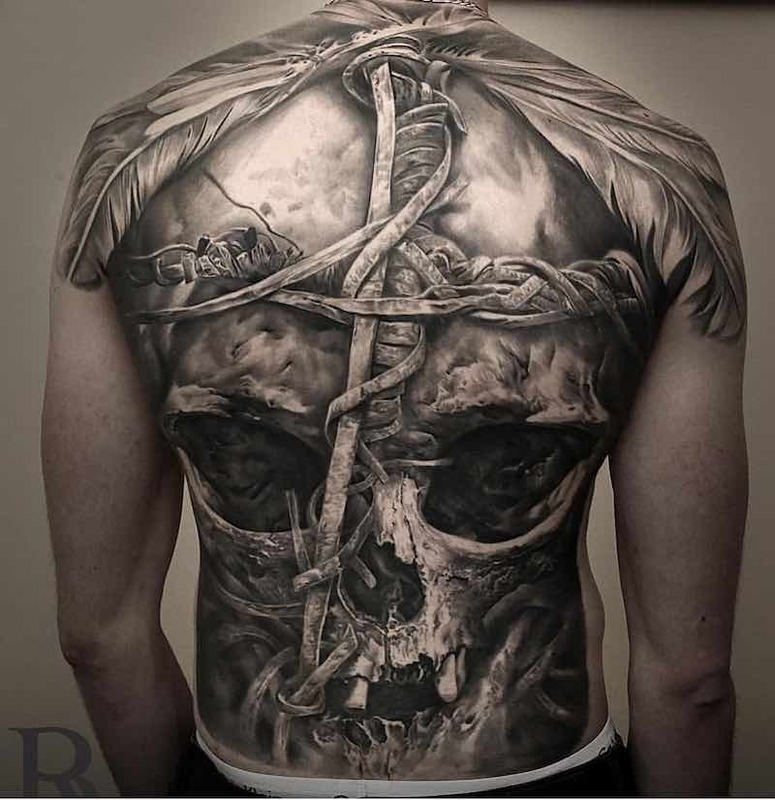 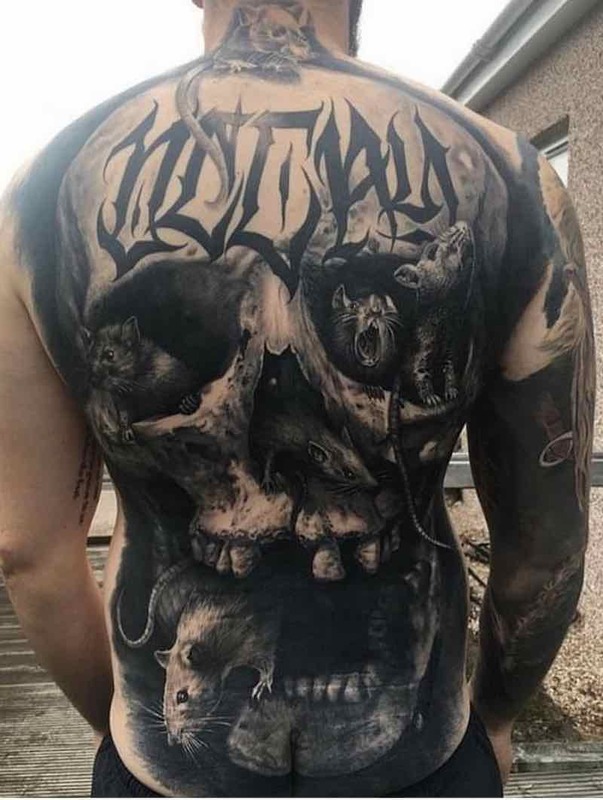 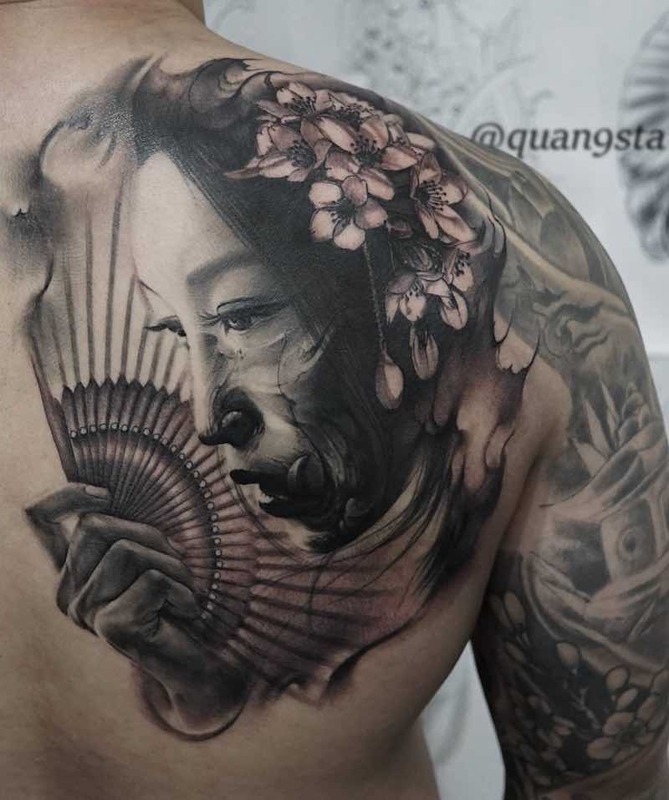 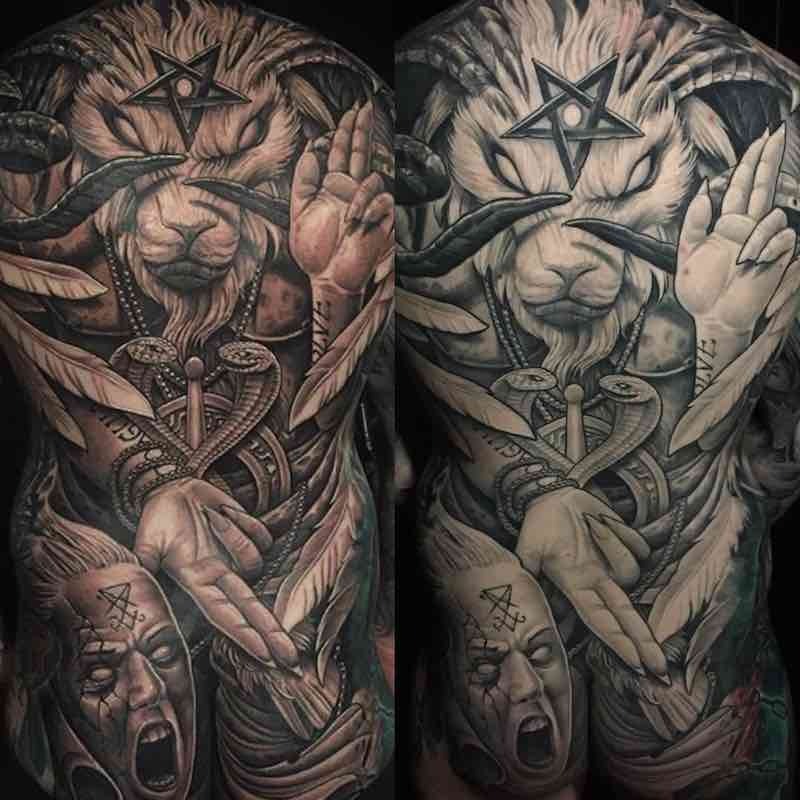 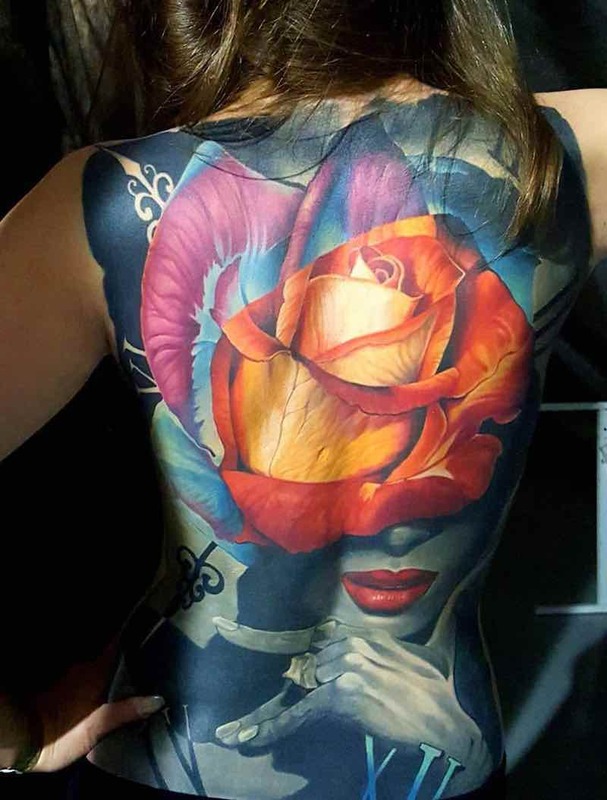 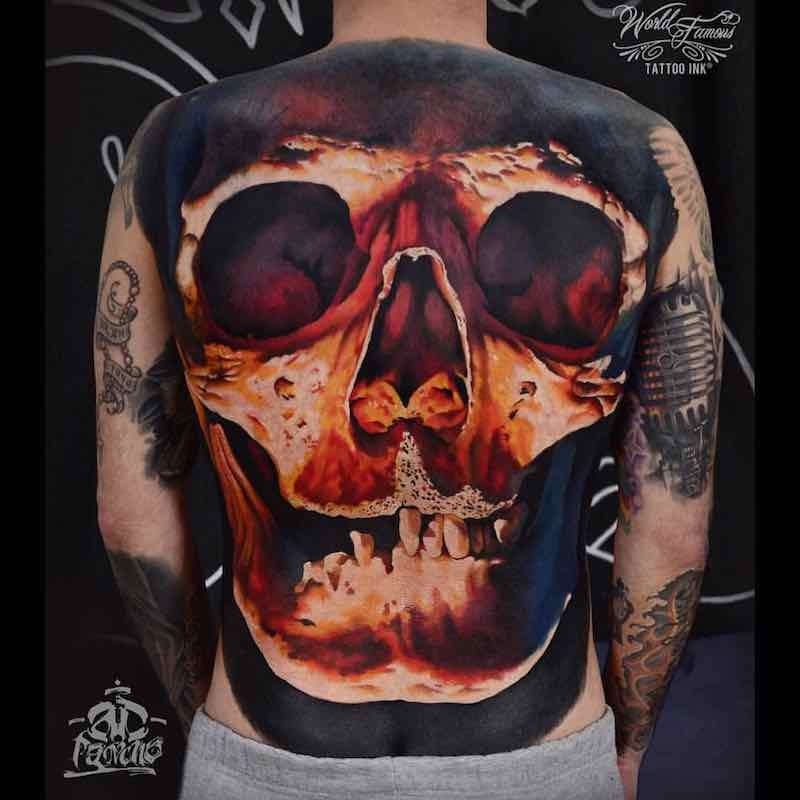 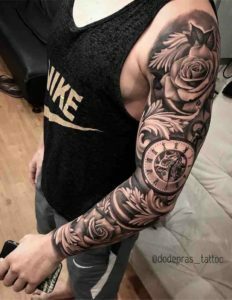 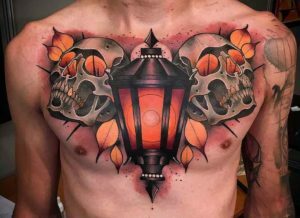 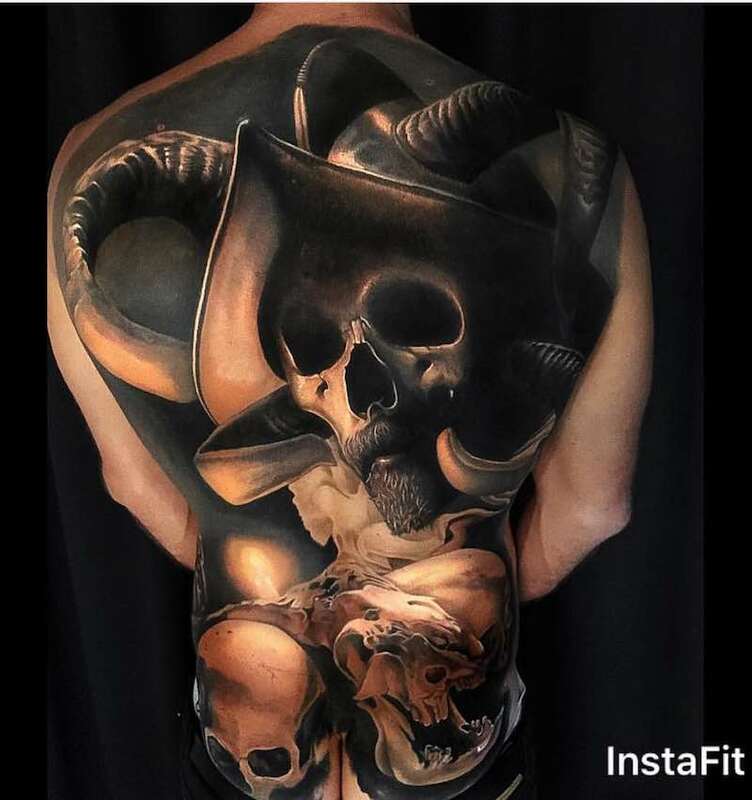 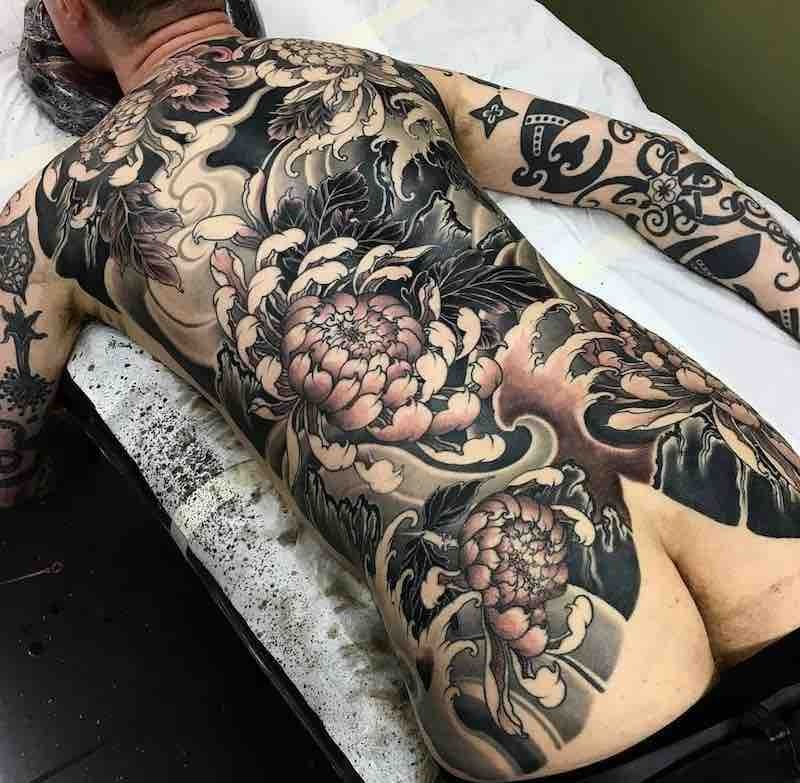 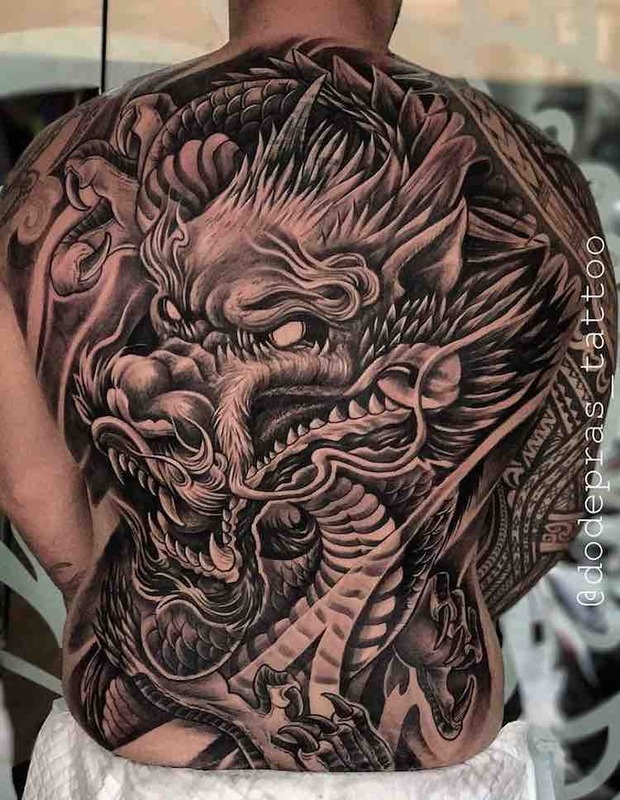 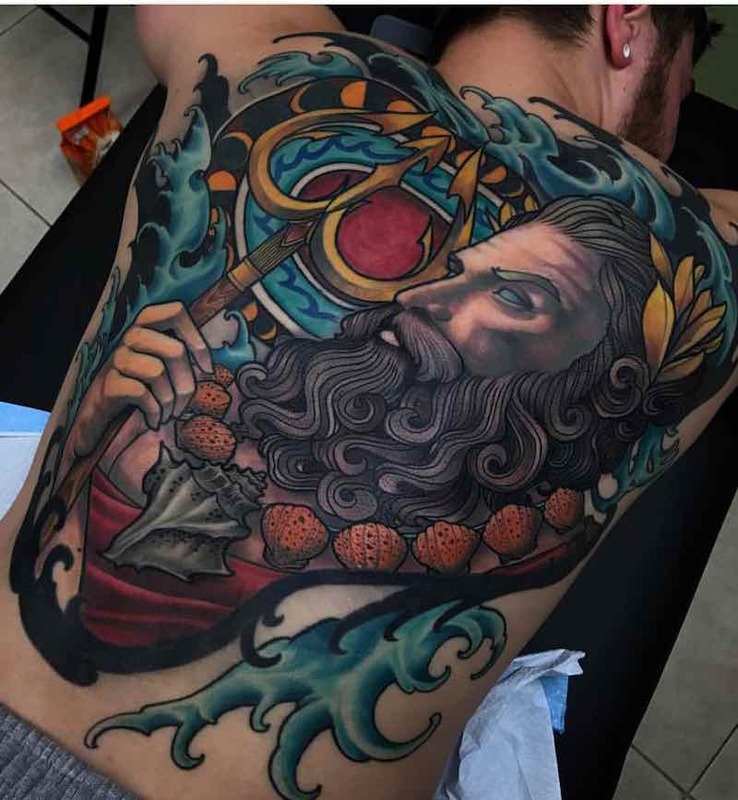 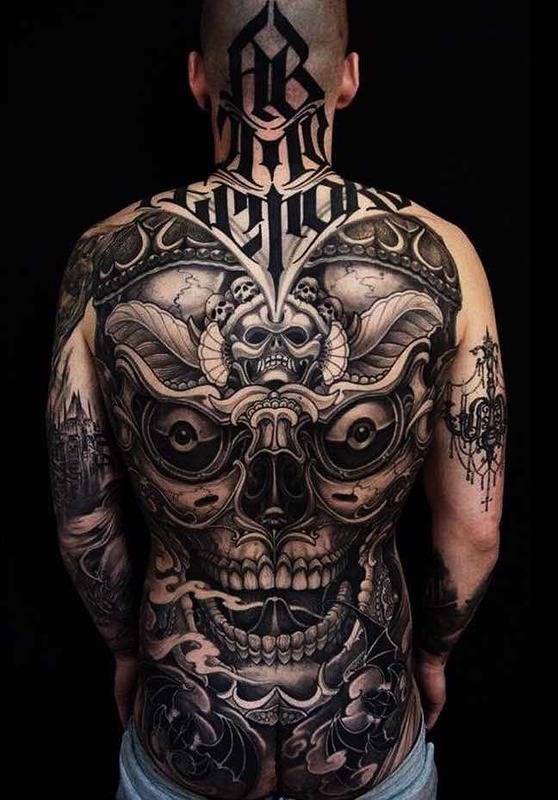 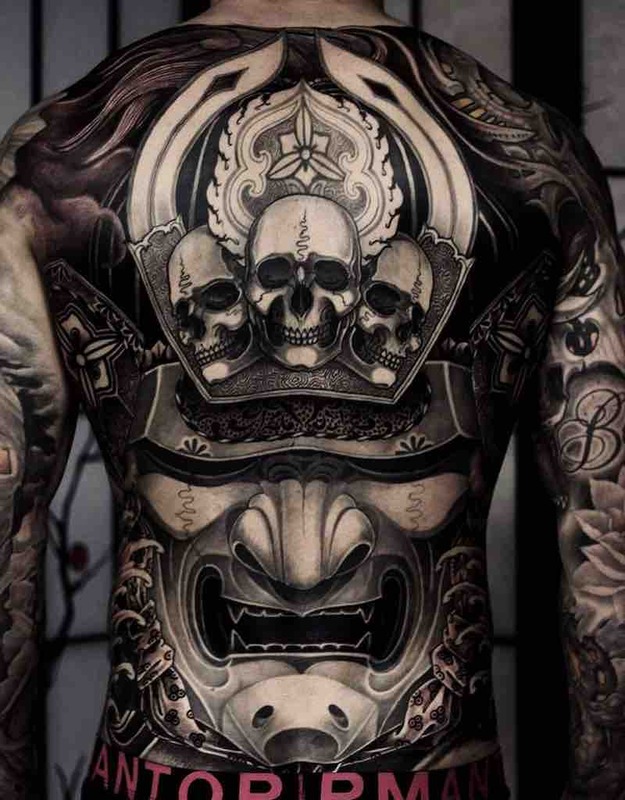 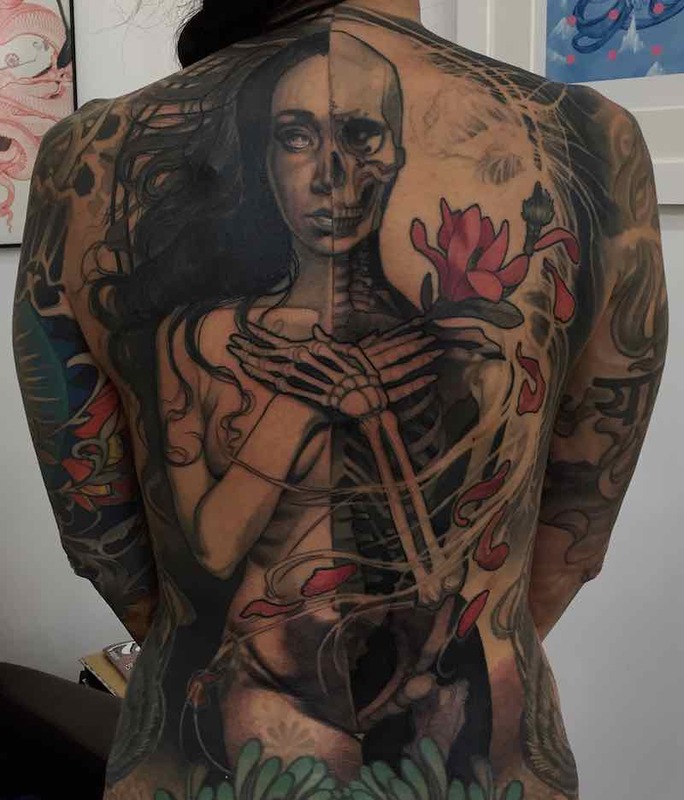 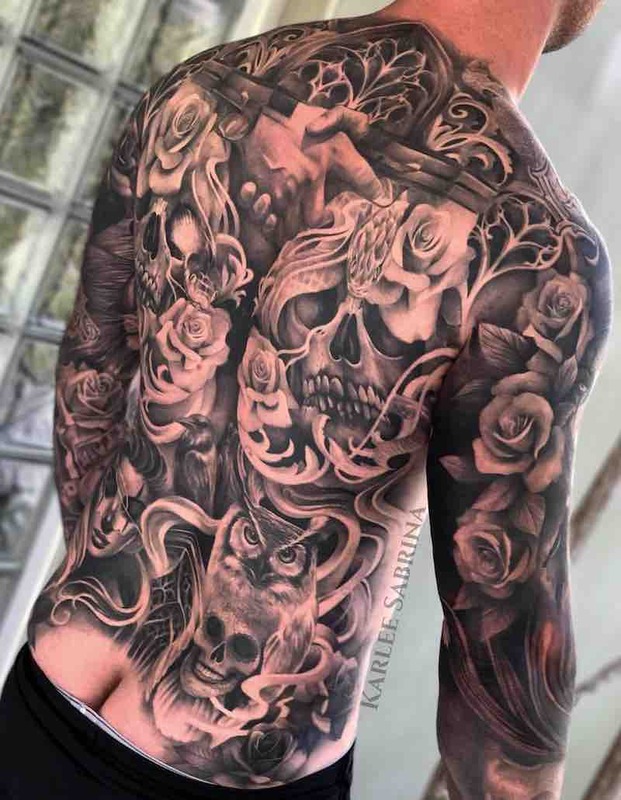 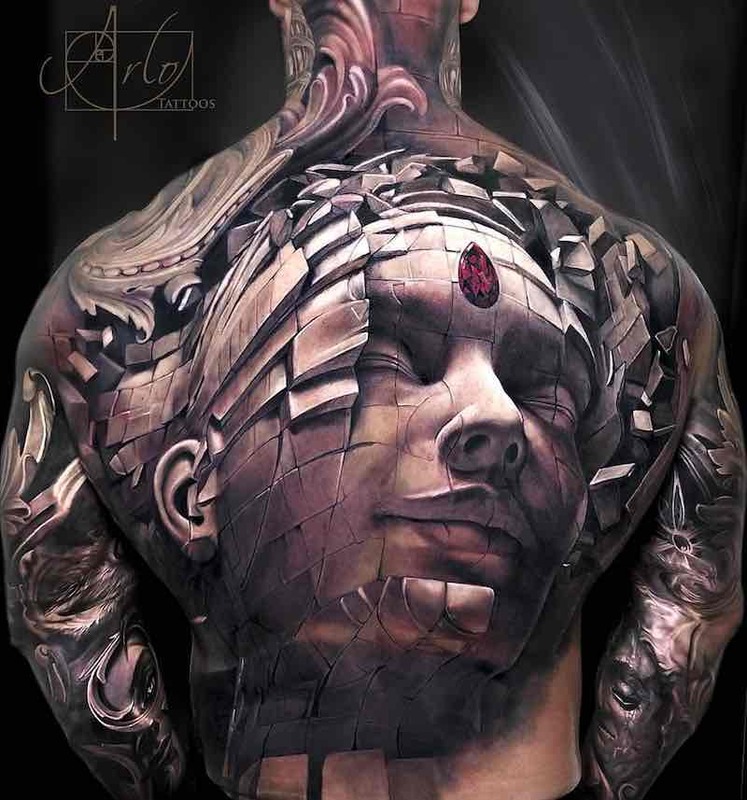 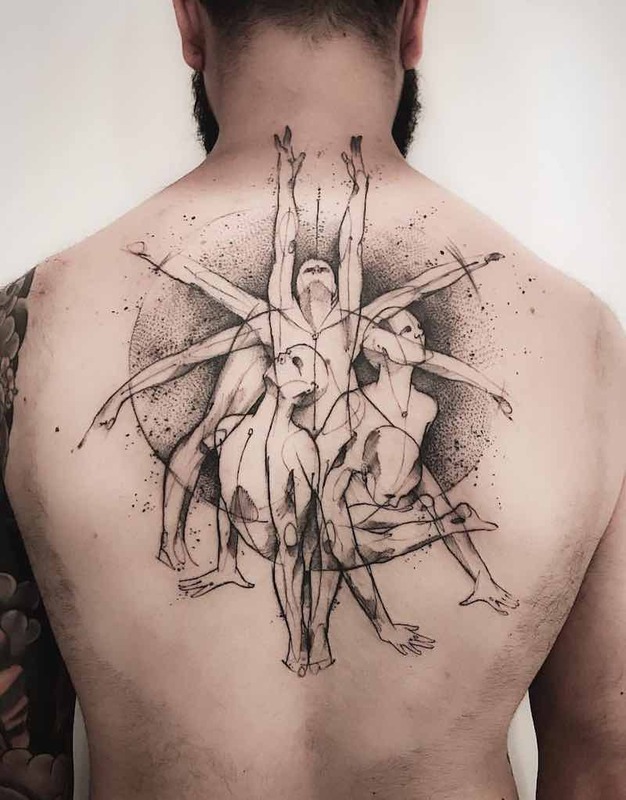 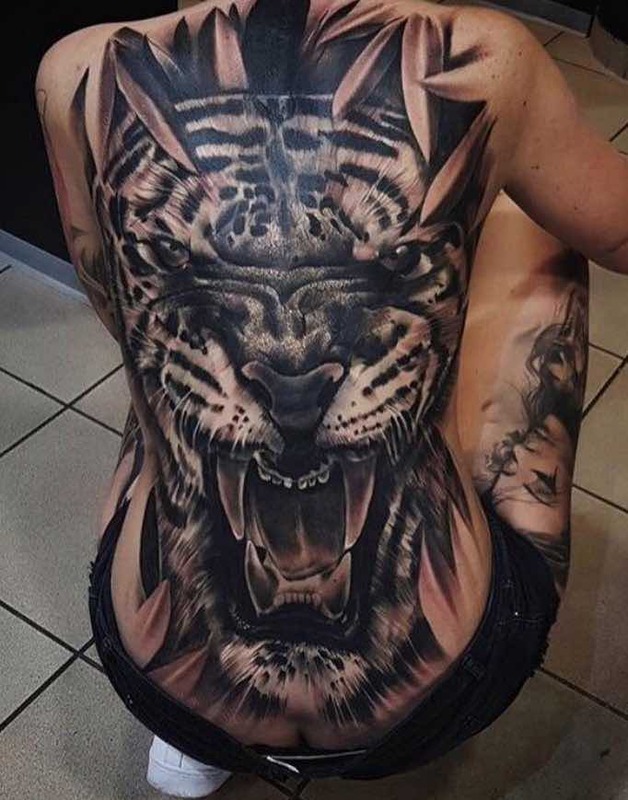 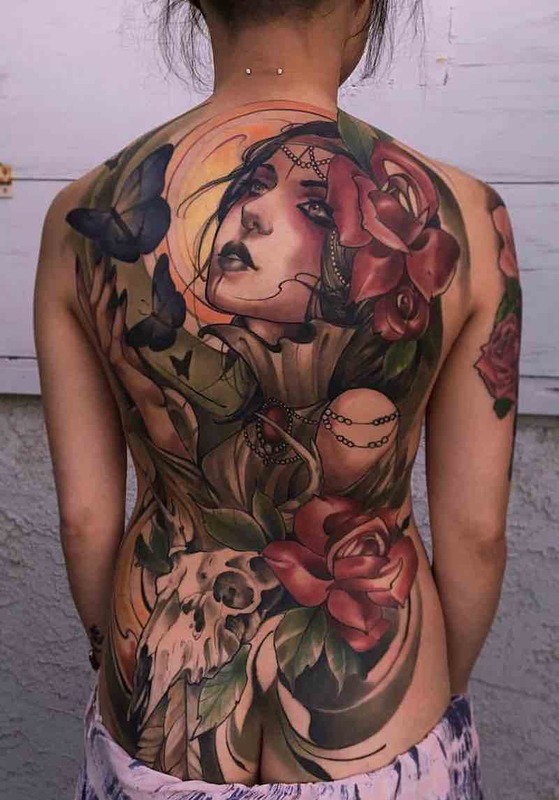 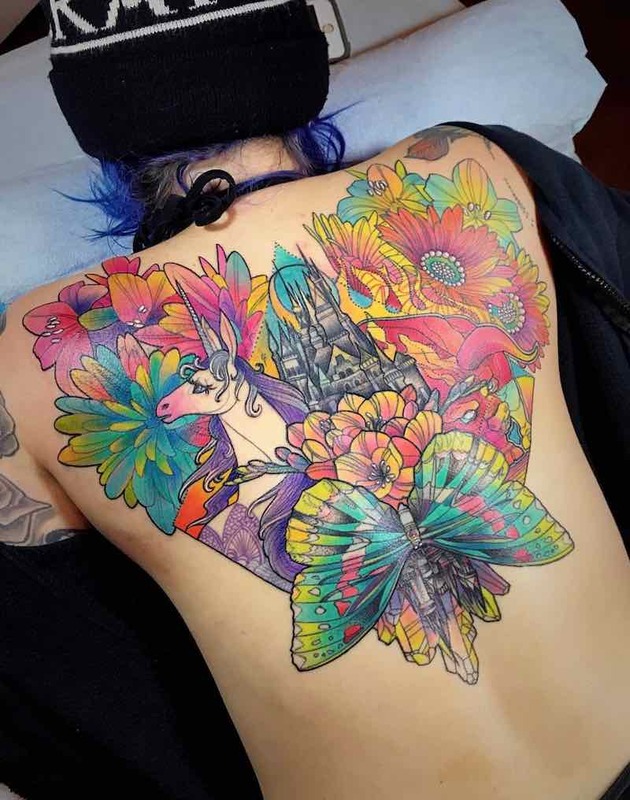 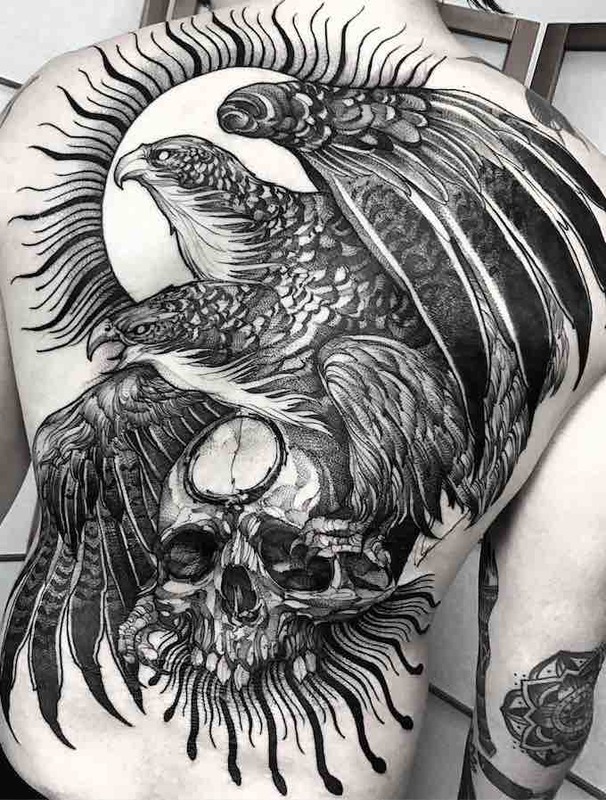 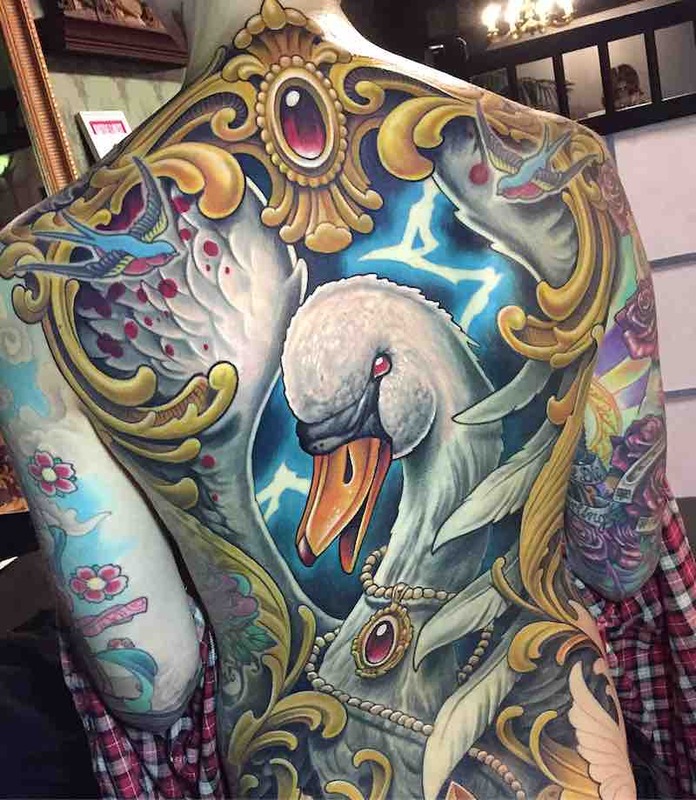 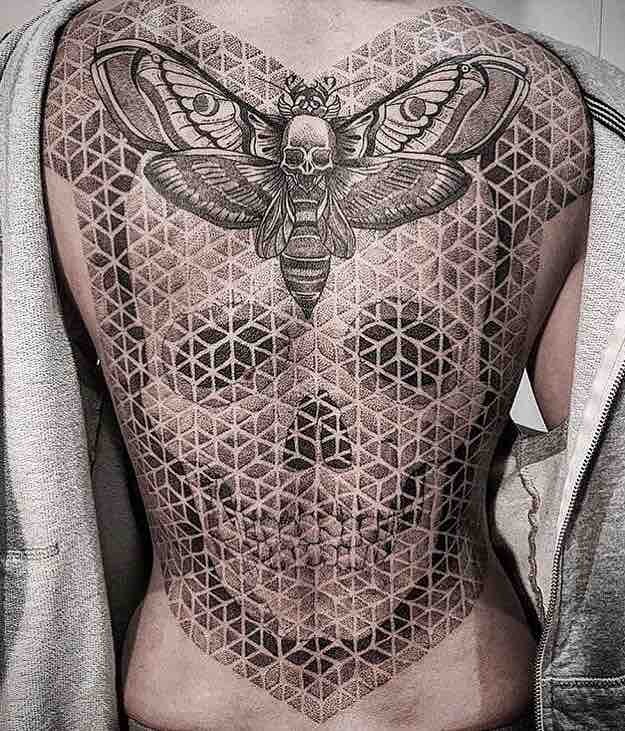 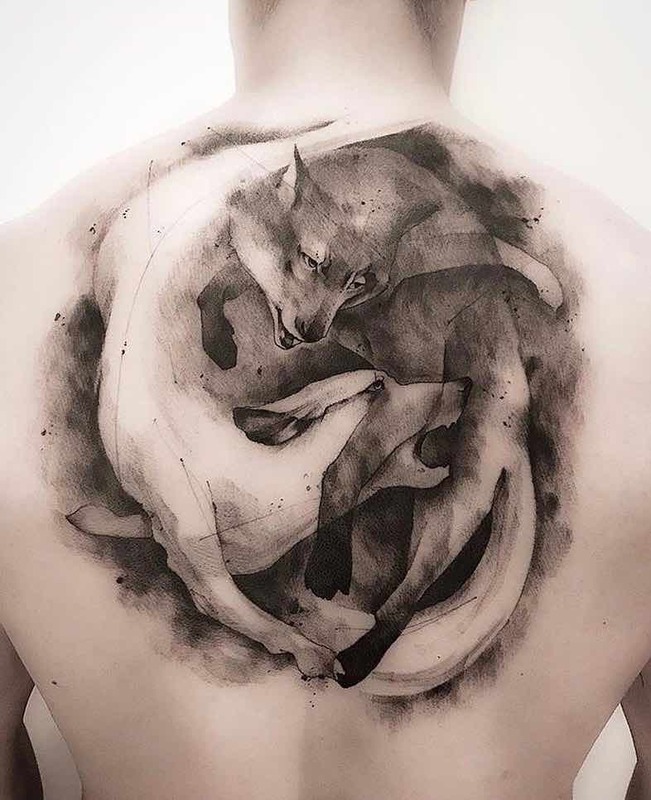 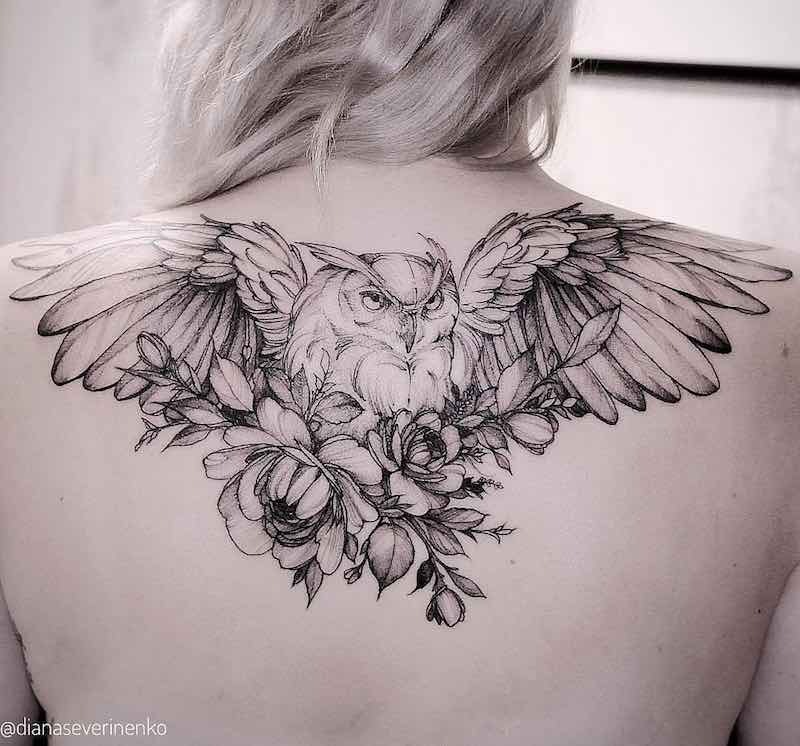 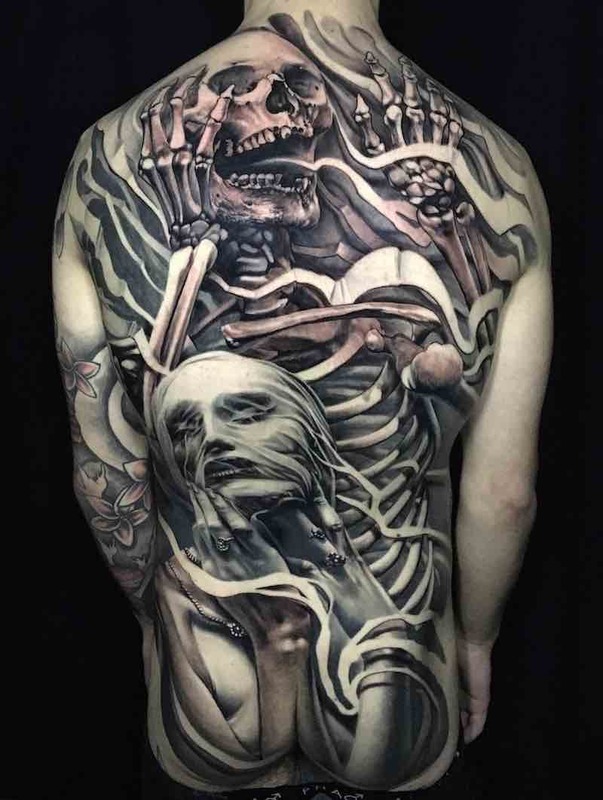 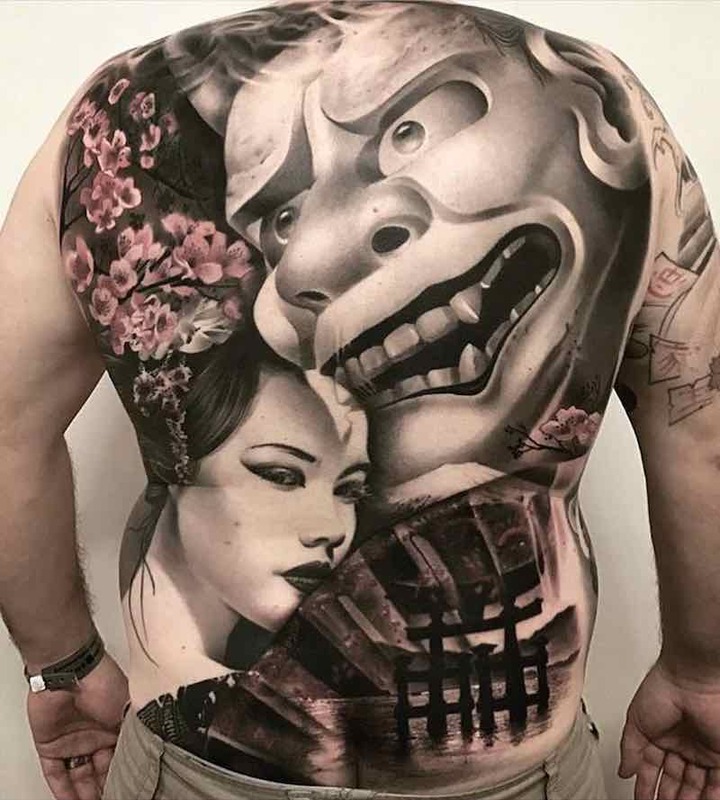 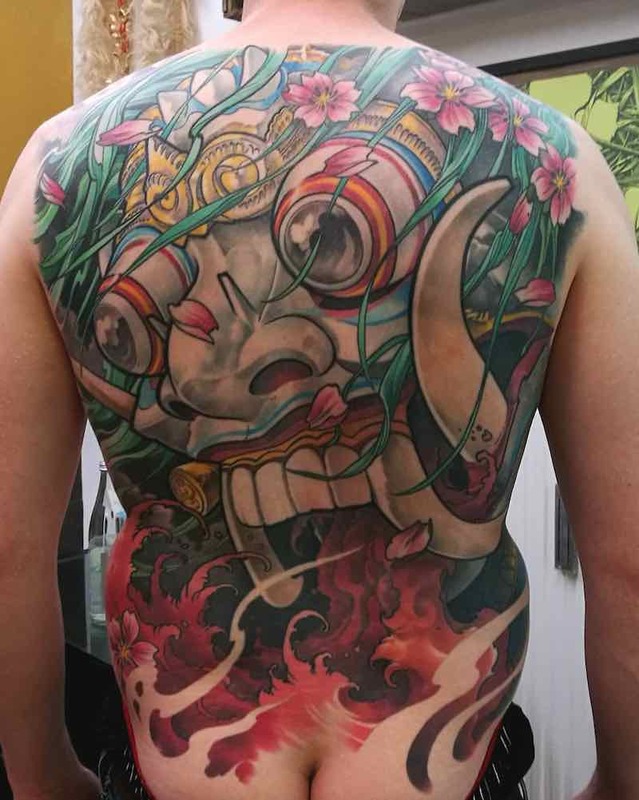 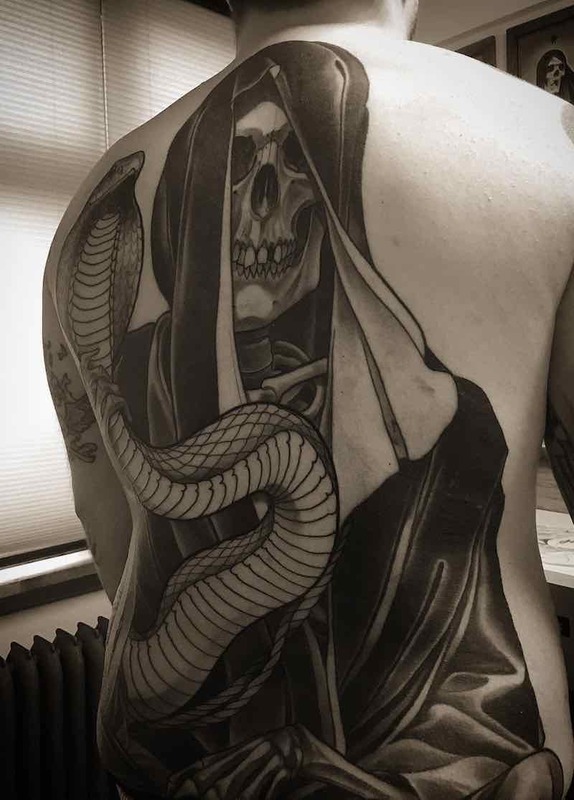 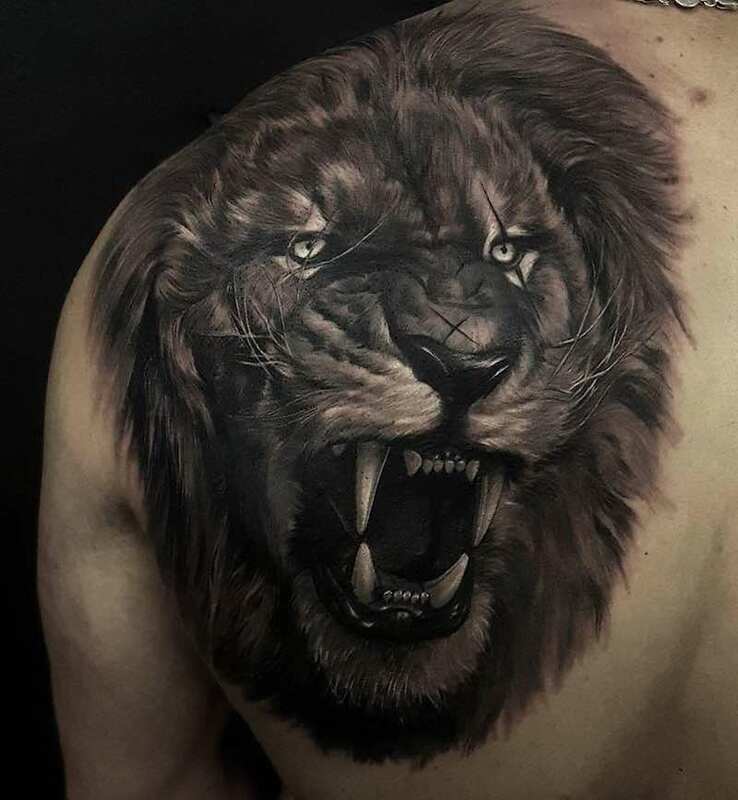 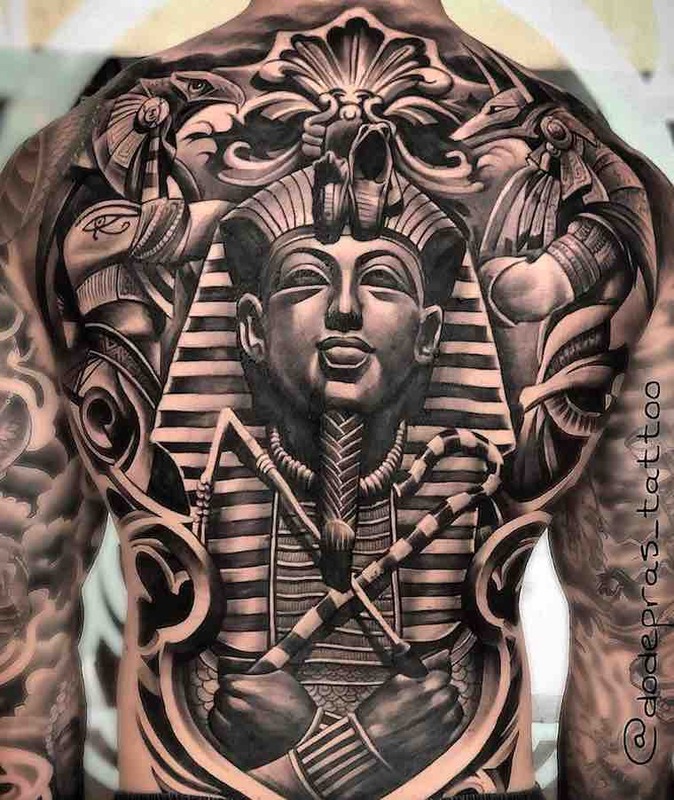 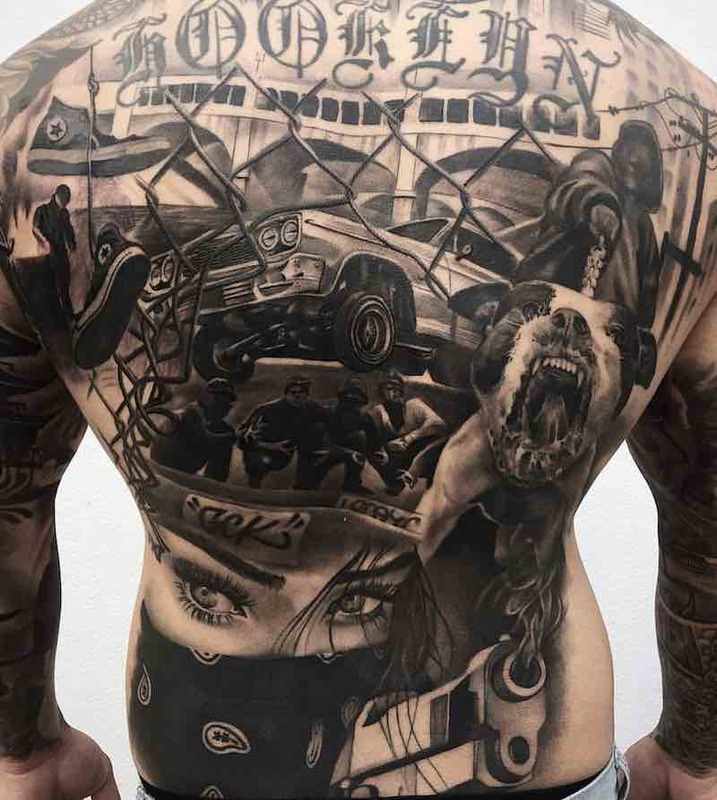 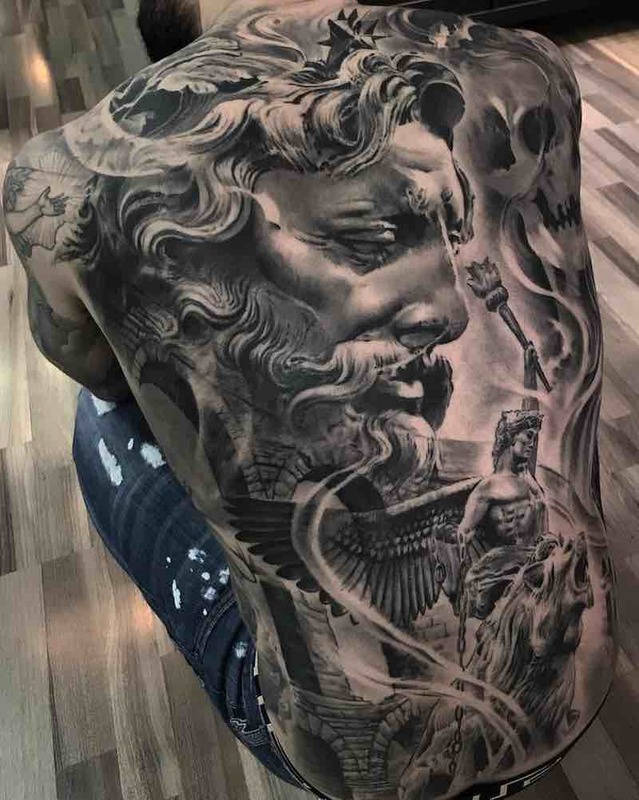 Back tattoos are popular for both men and women but full back tattoos are more common among men, the most popular imagery being skulls and animals, typically done in black and grey although back tattoos featured with color are also very popular. 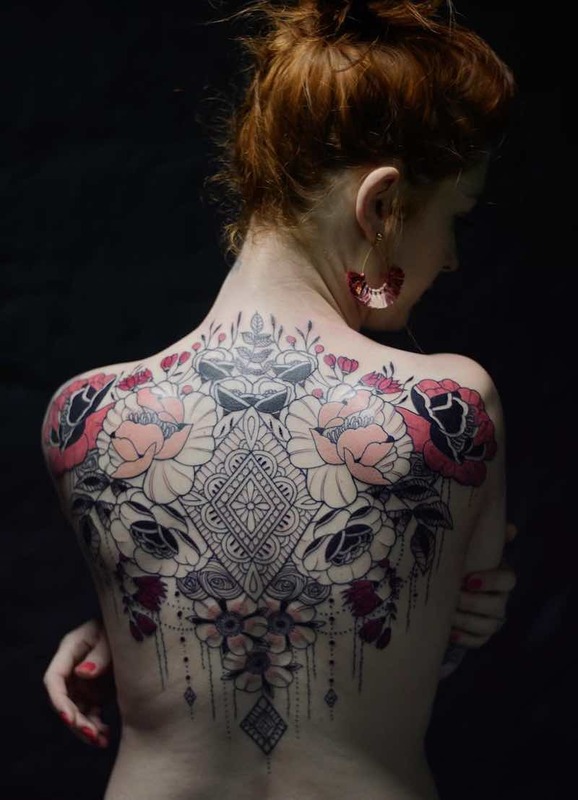 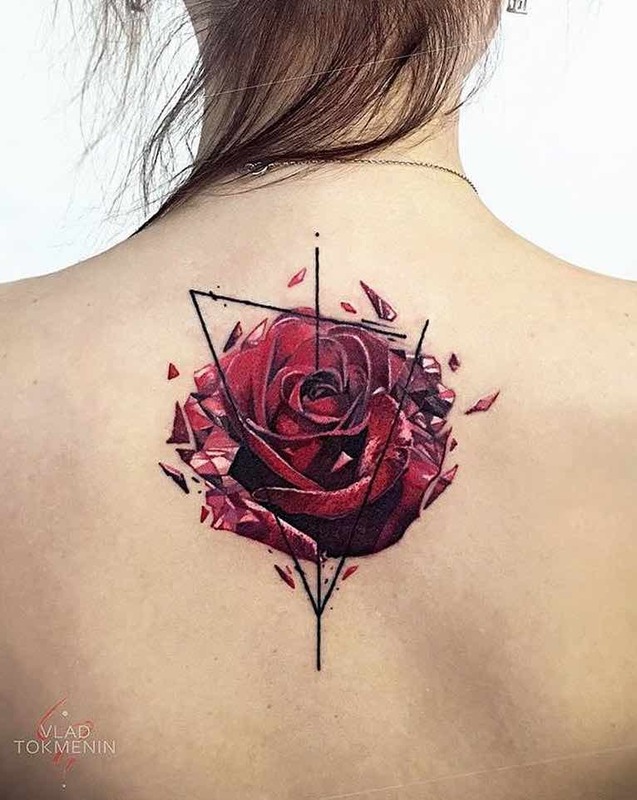 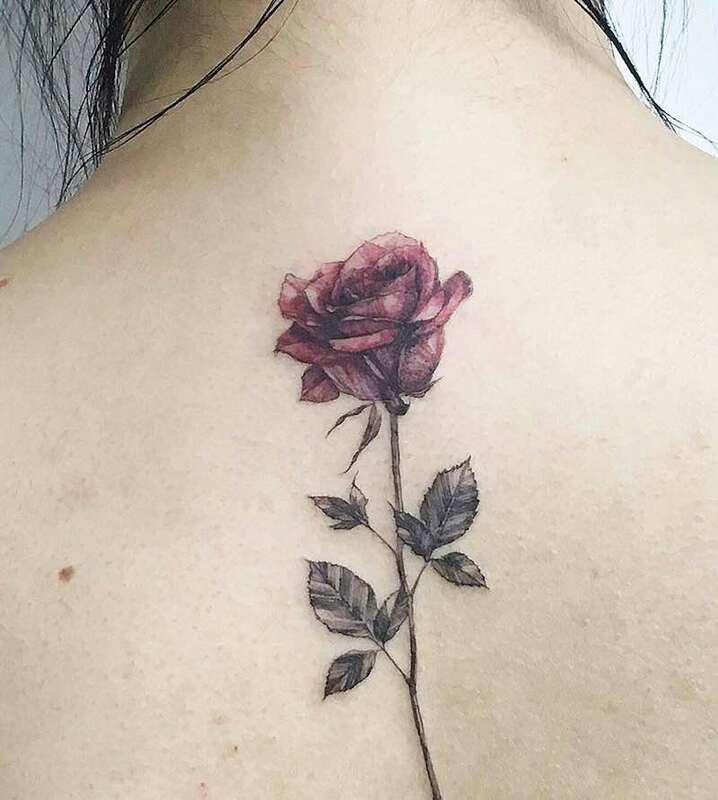 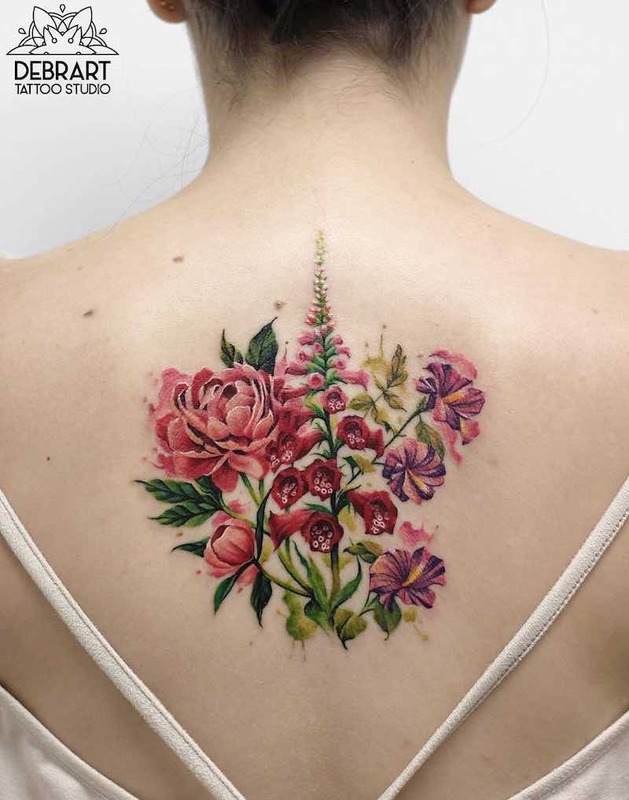 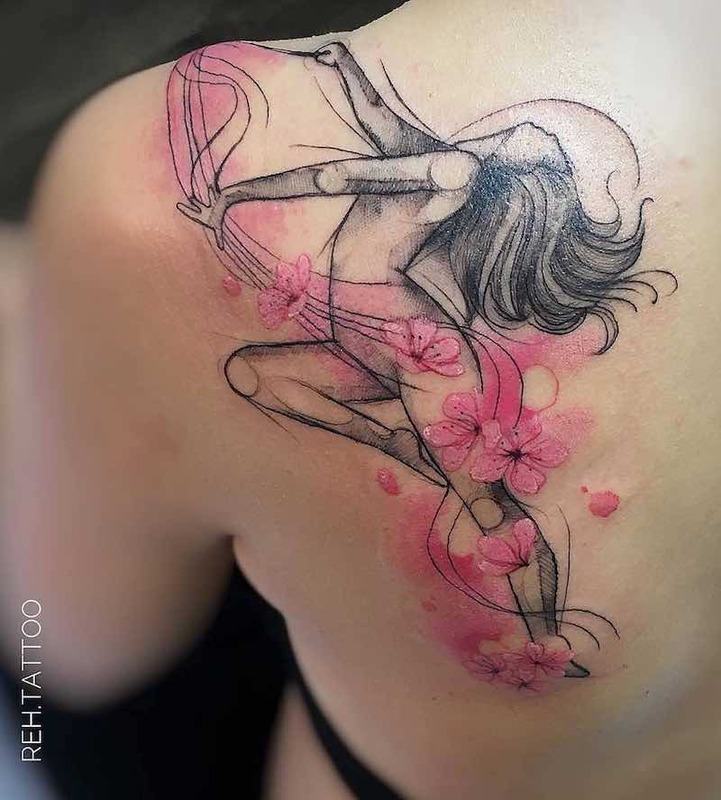 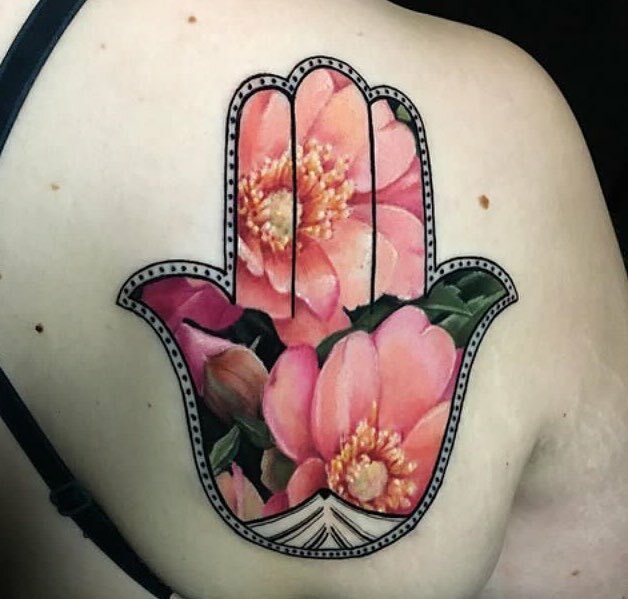 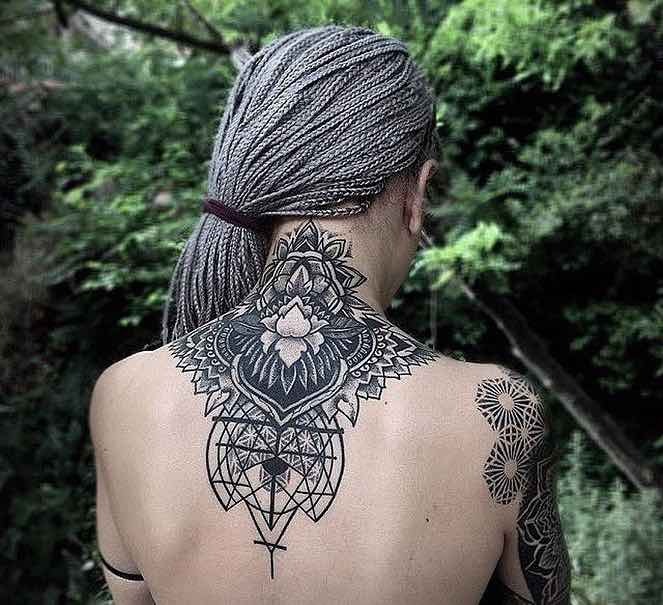 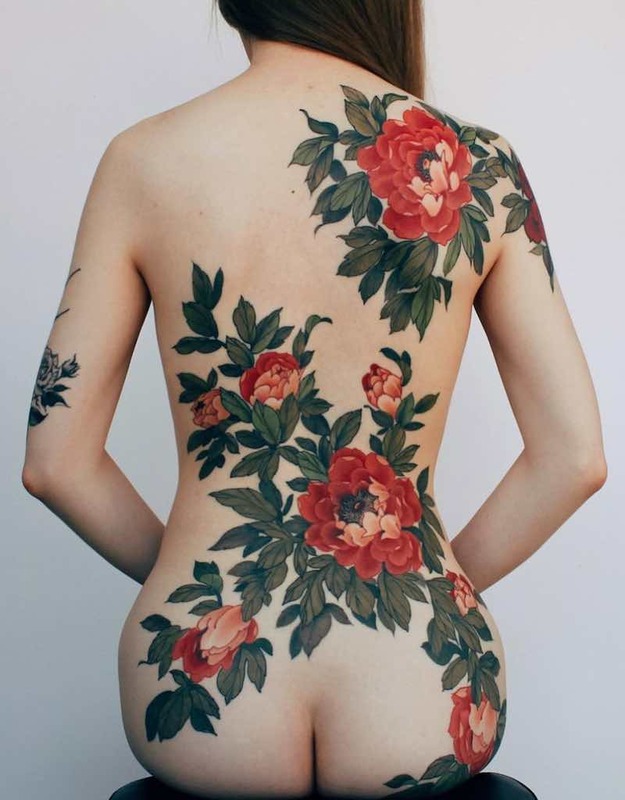 While smaller back tattoos are more common among women, big back tattoos that cover the entire back are also popular, the most common imagery for women’s back tattoos is flowers and geometric designs. 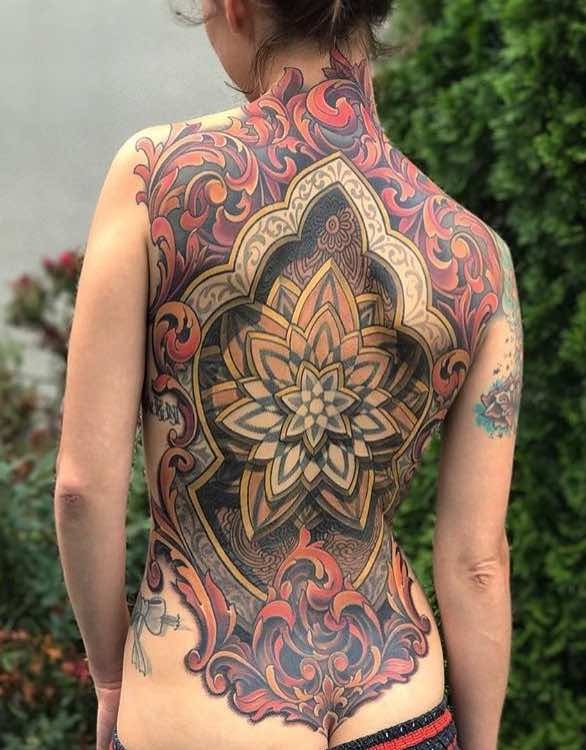 For people not wanting to have a full back tattoo and maybe save space for future work then back shoulder tattoos can be a great way to go. 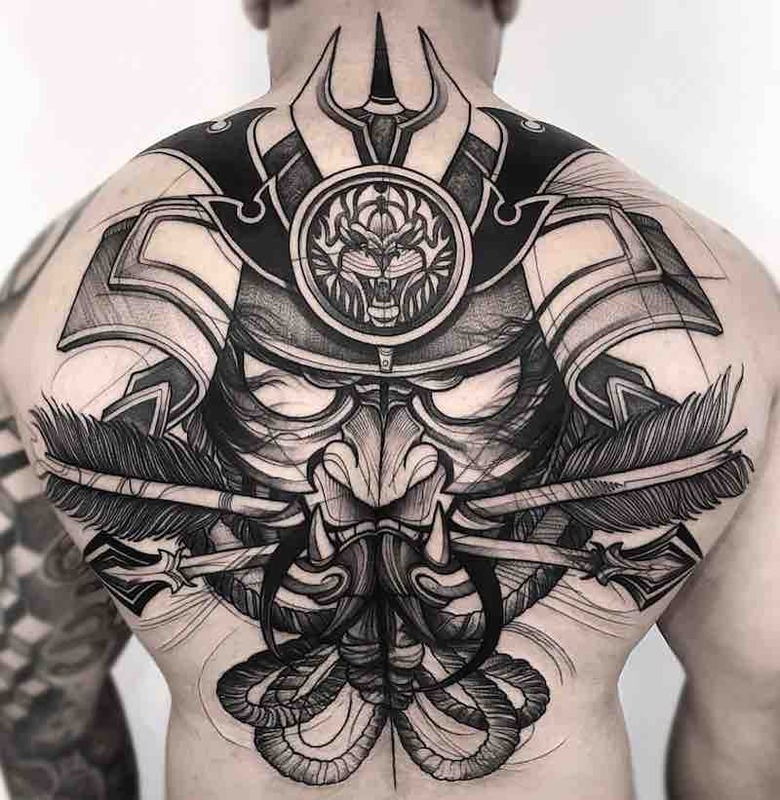 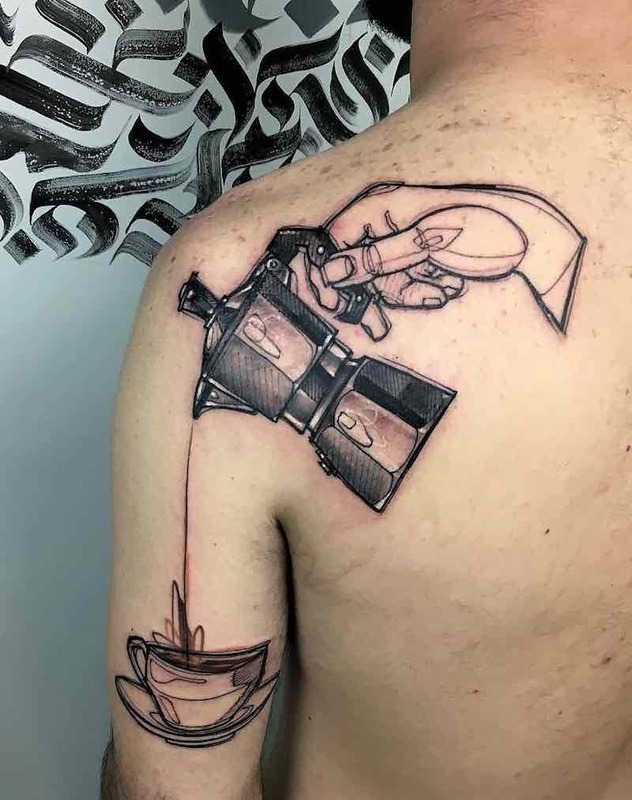 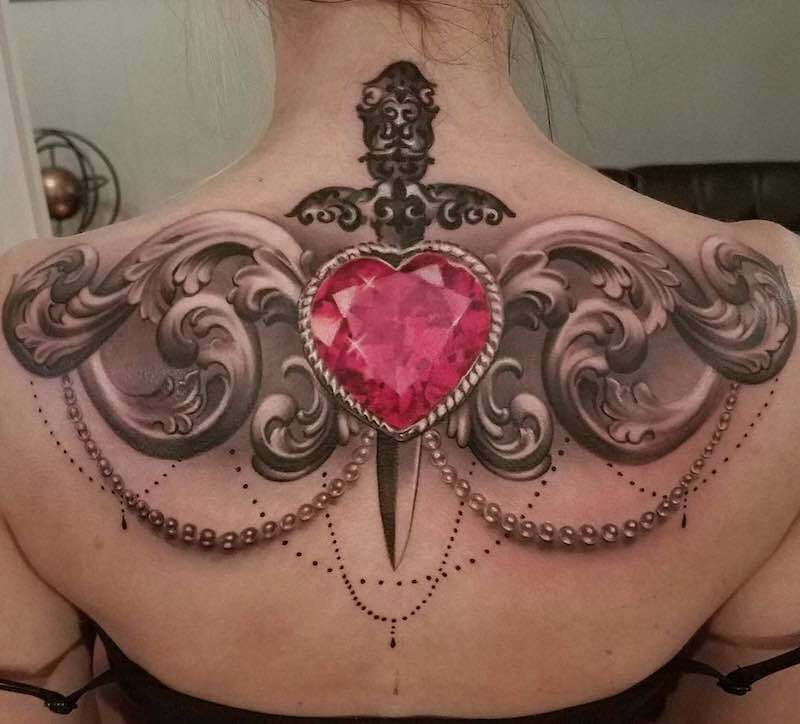 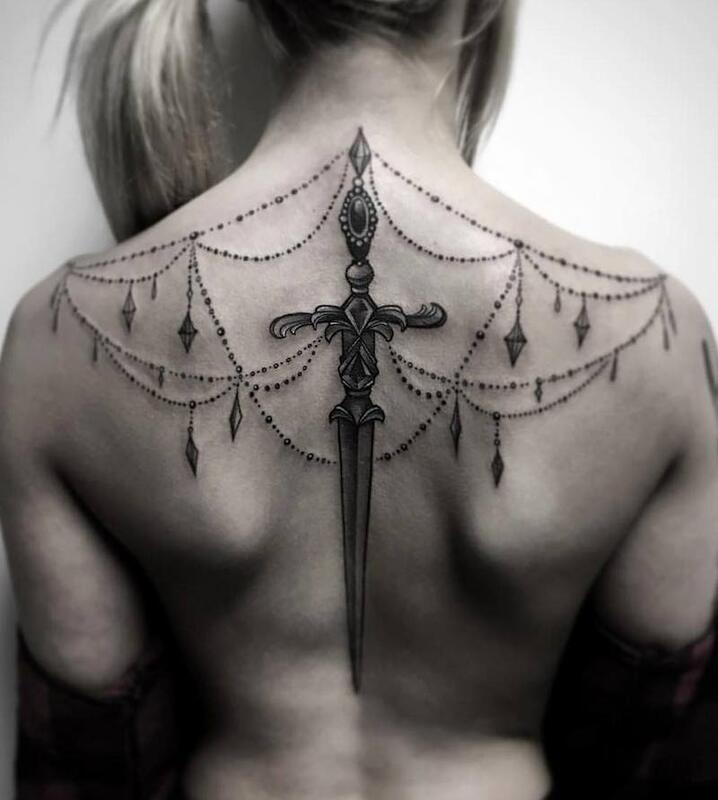 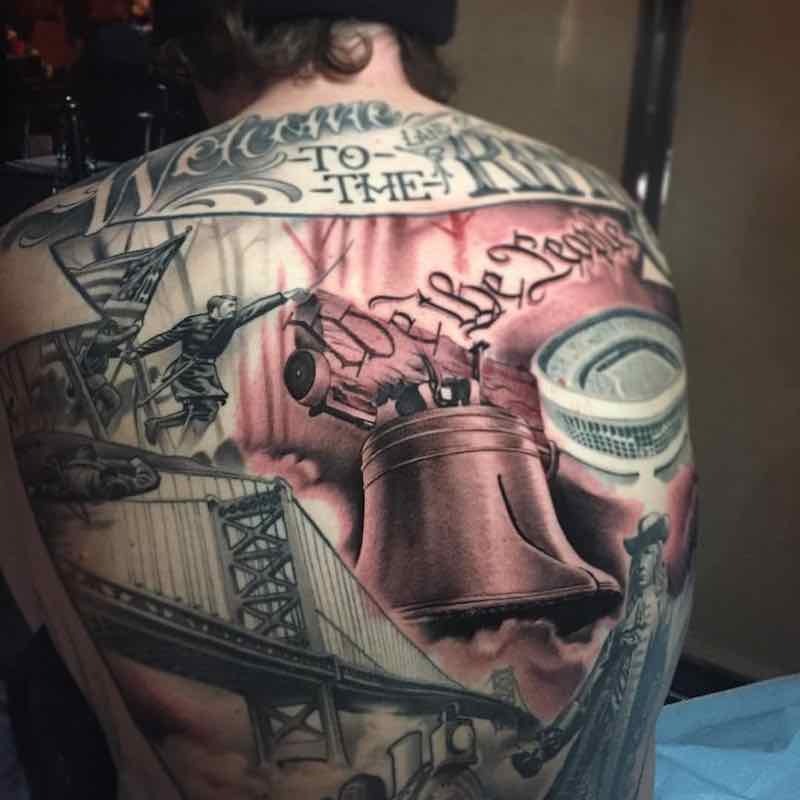 Some back shoulder tattoos get incorporated into a full back tattoo and typically are done in a way that it would be known that it was ever a stand-alone tattoo. 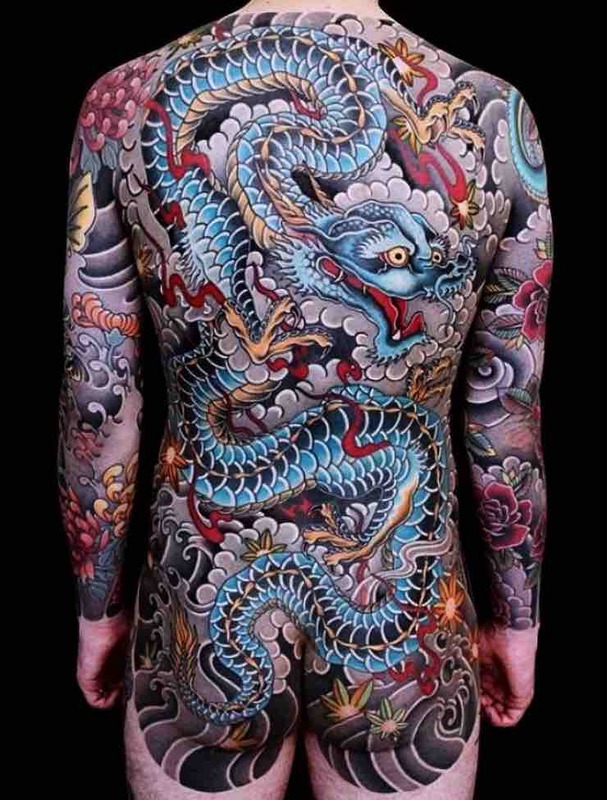 Typically done as part of a body suit but it is not uncommon to be stand alone back tattoos. 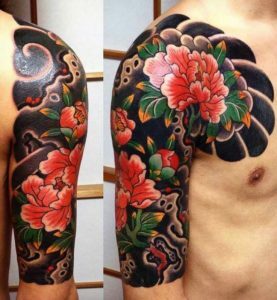 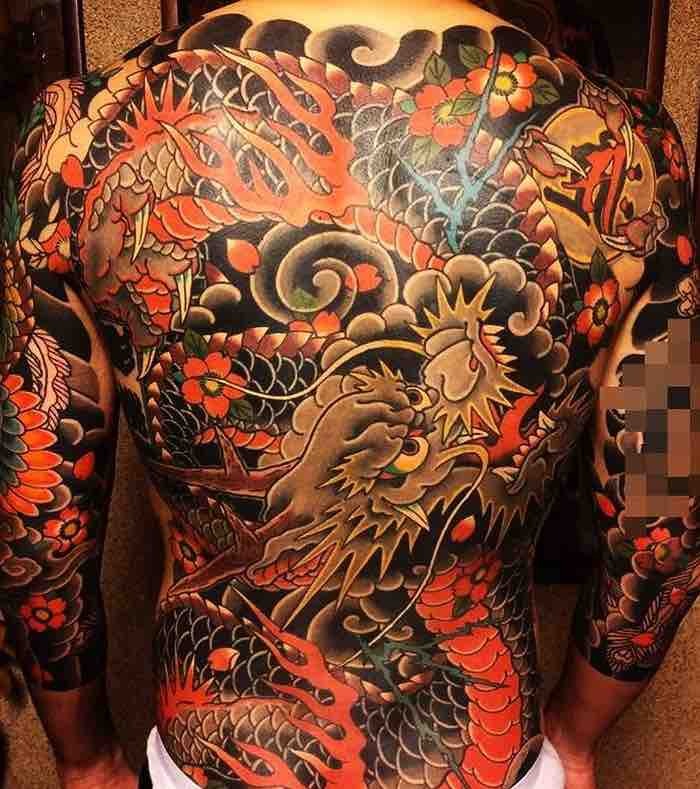 Click the link to see a full range of Japanese Back Tattoos. 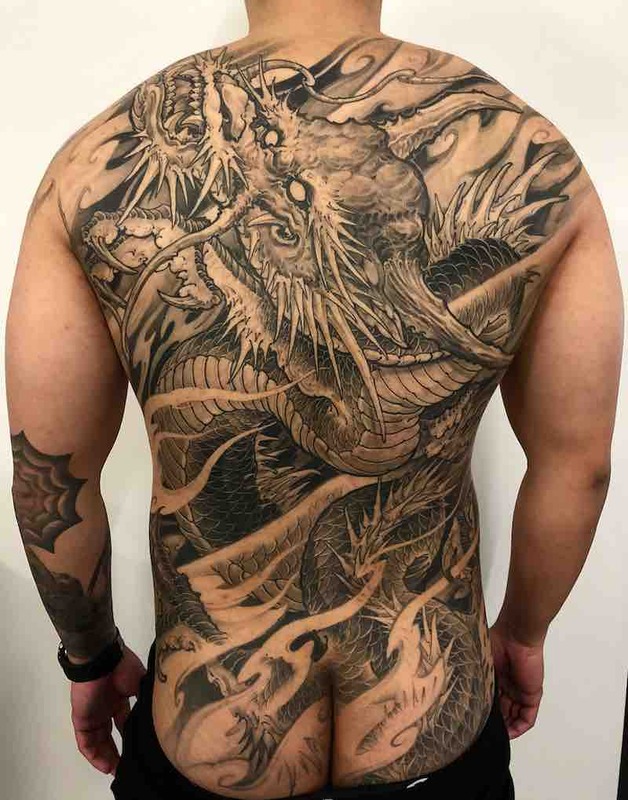 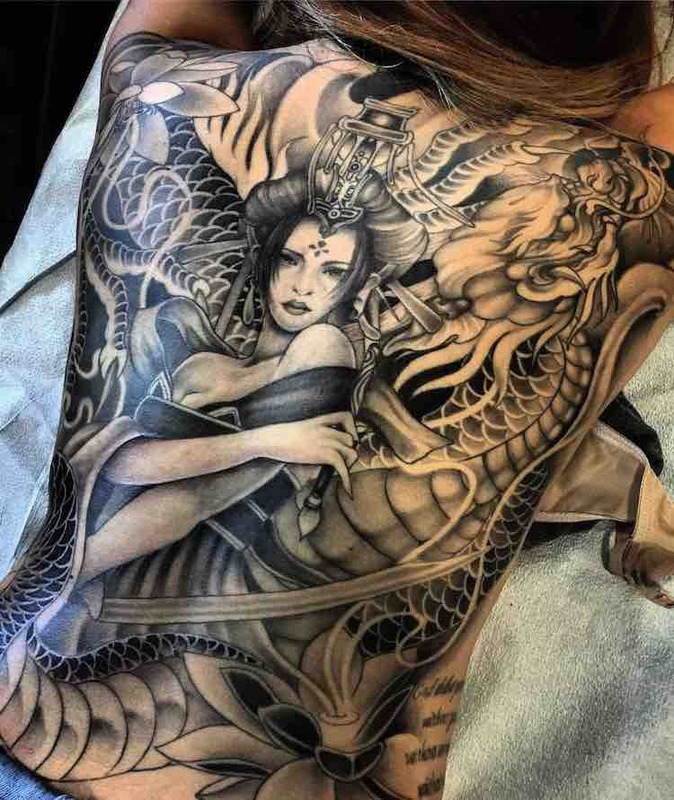 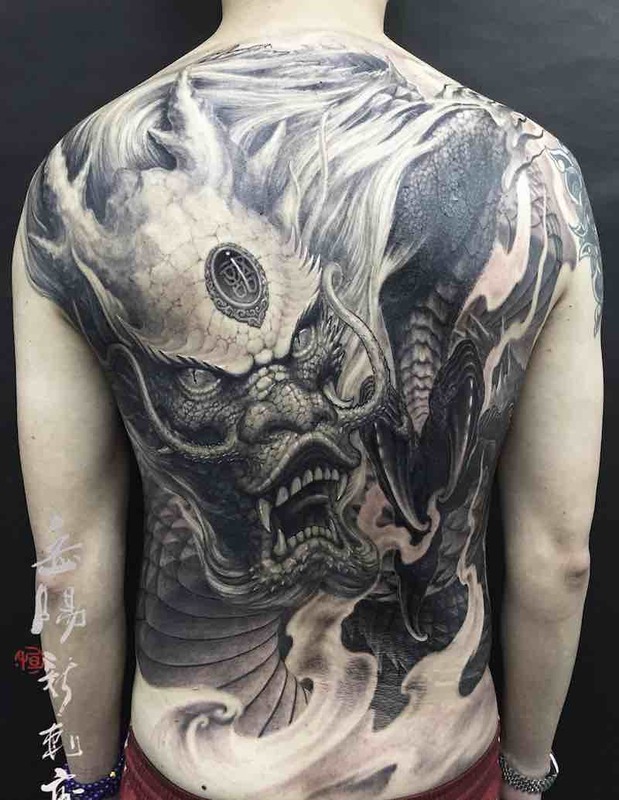 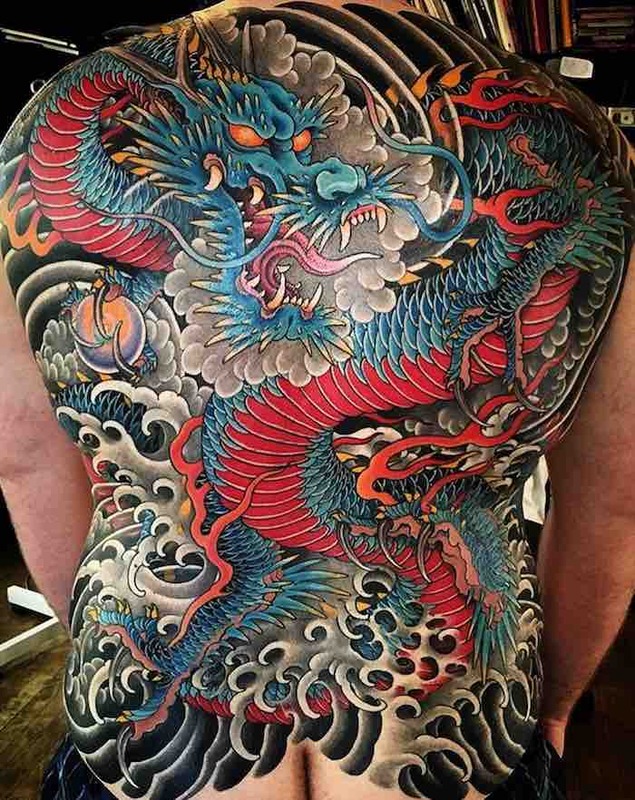 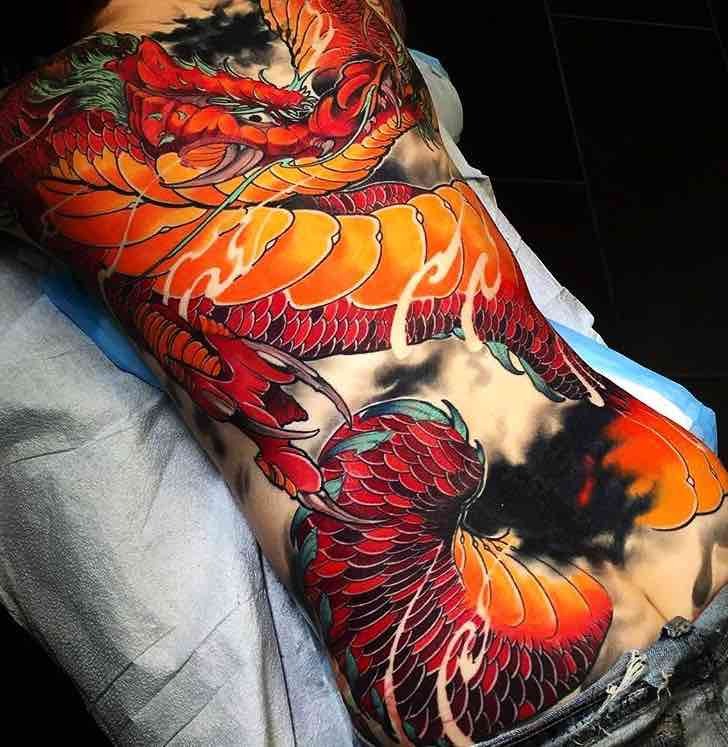 The most popular back tattoos to get are dragons, with the most common style being Japanese. 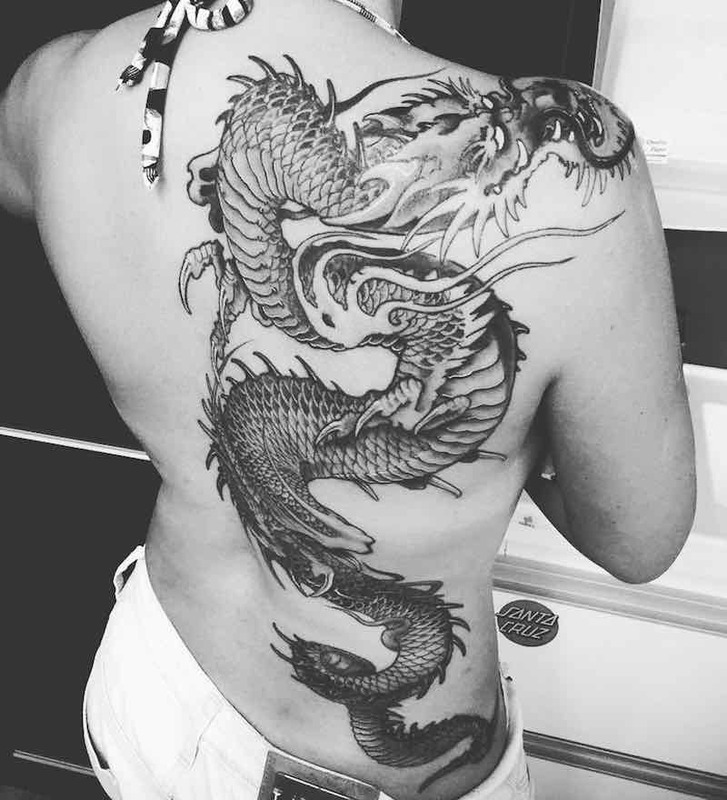 Dragons are perfect for back tattoos as the dragon is a big design and can look great anywhere on the body but done on the back can look even better as it creates more room for detail and a full body with other elements tieing the image together to make one great dragon back tattoo.